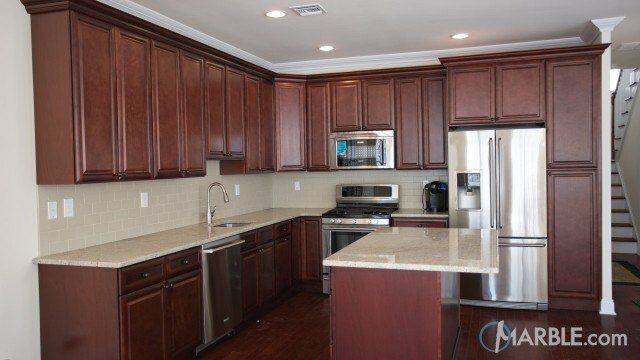 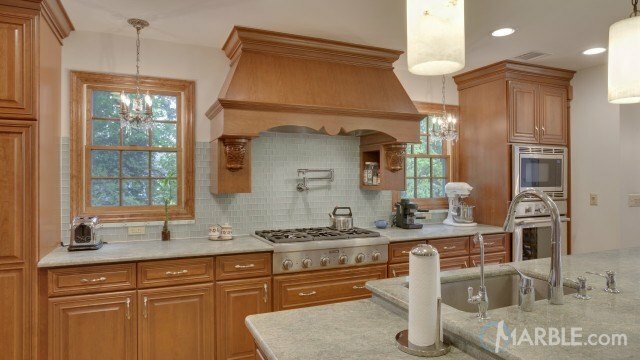 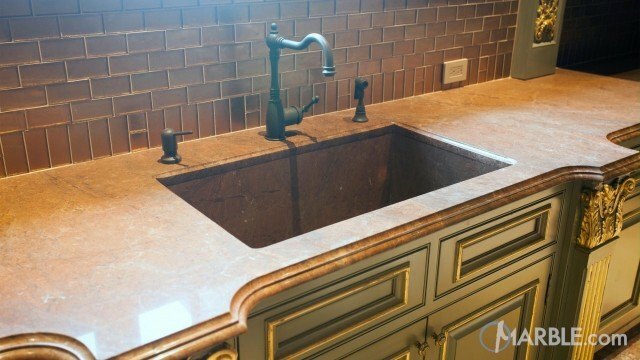 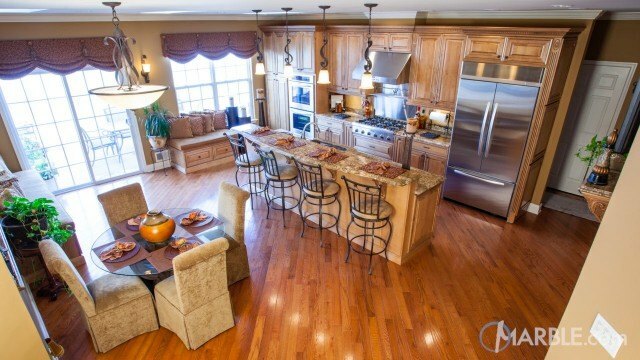 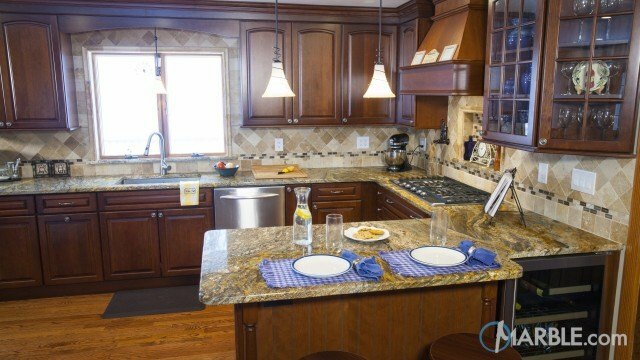 This L kitchen utilizes counter space by keeping a large distance or real estate between the stove top and sink. 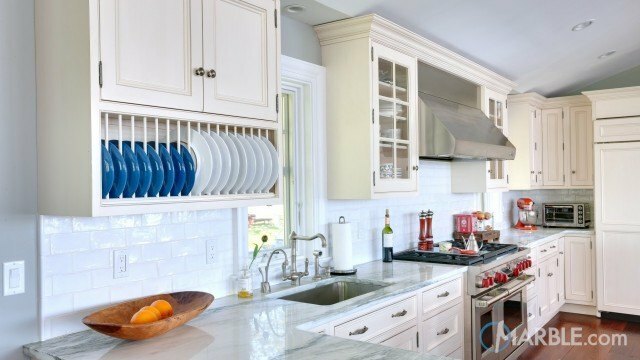 This allows for lots of prep space and plenty of space to place hot pans. 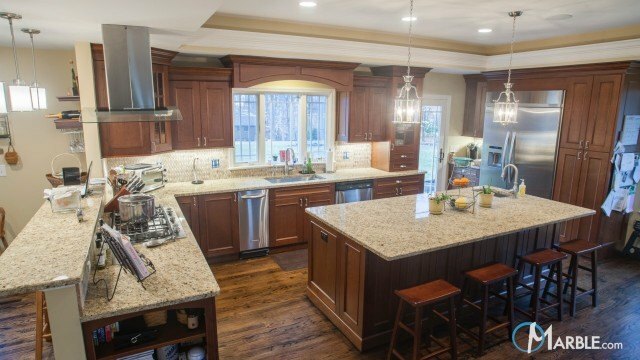 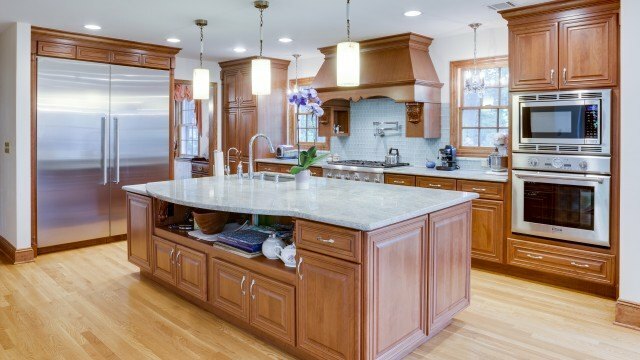 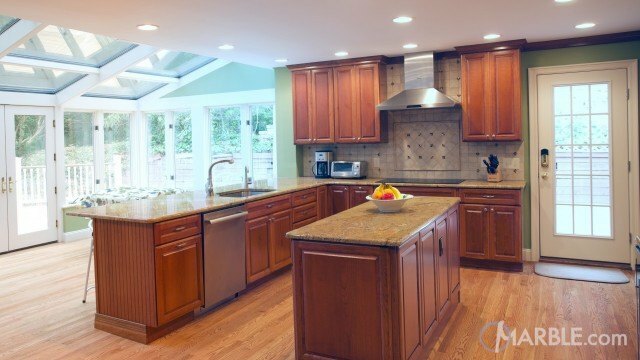 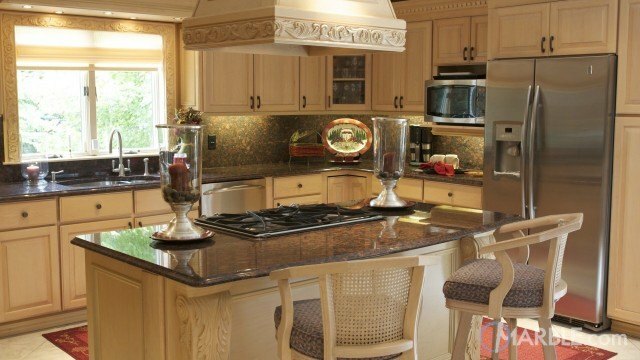 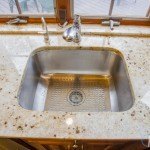 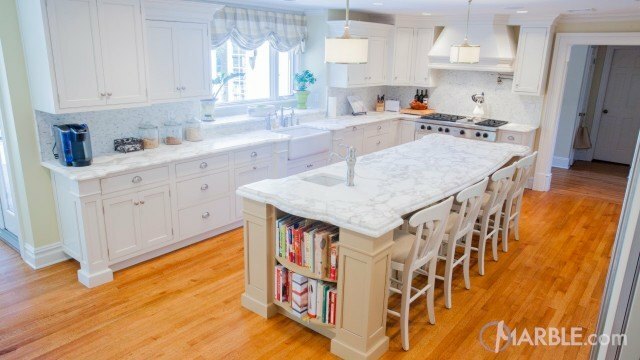 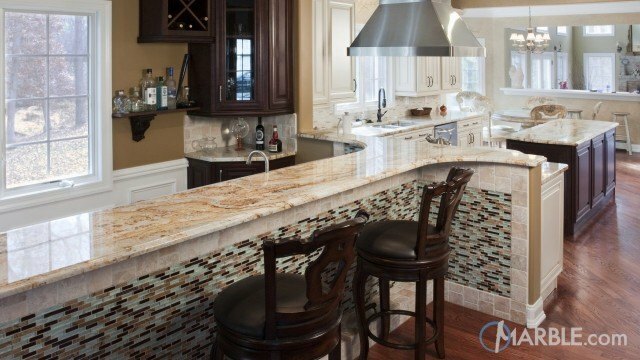 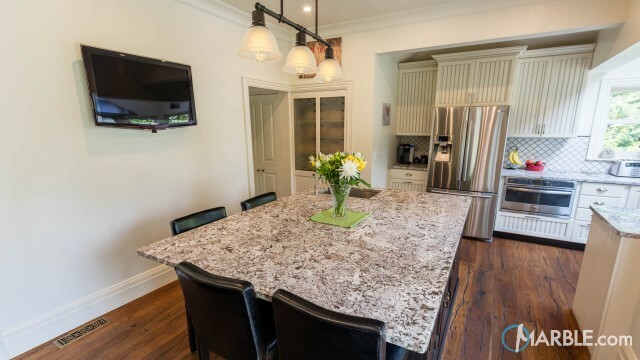 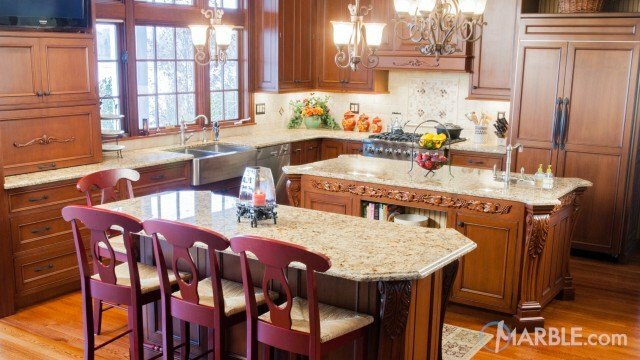 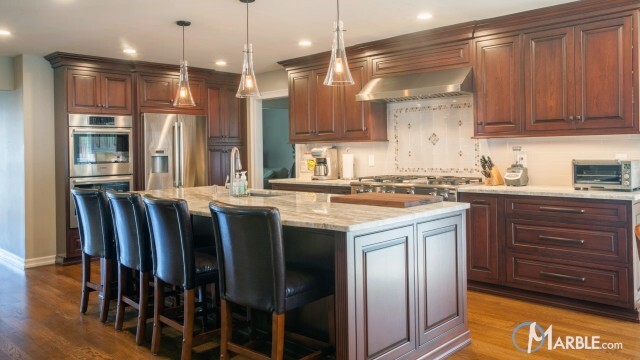 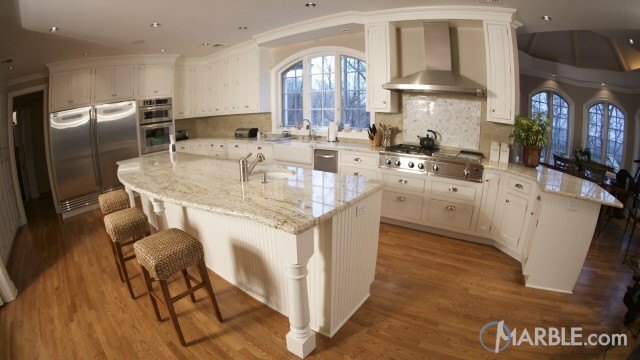 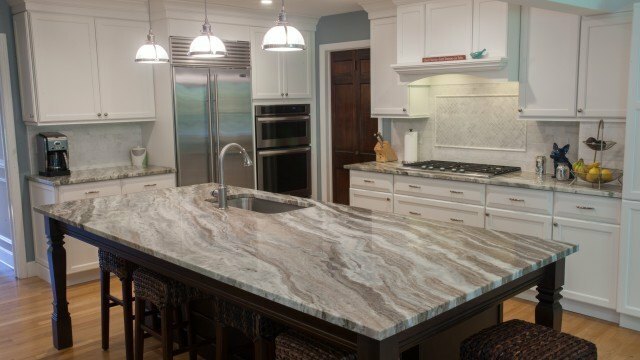 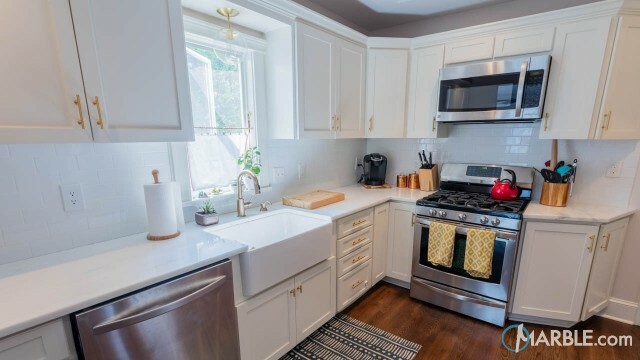 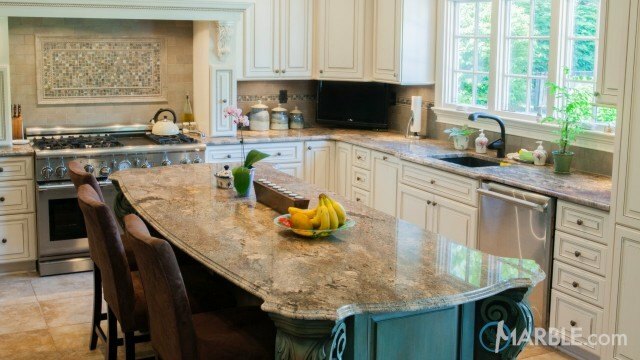 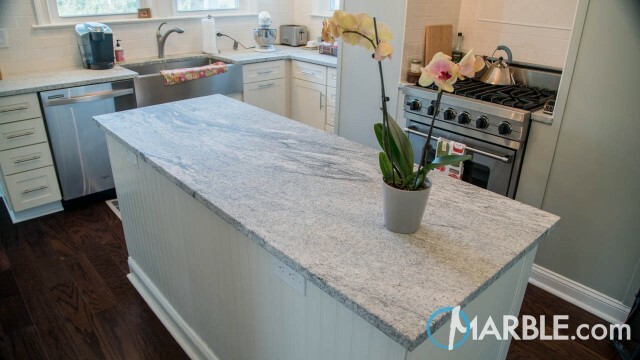 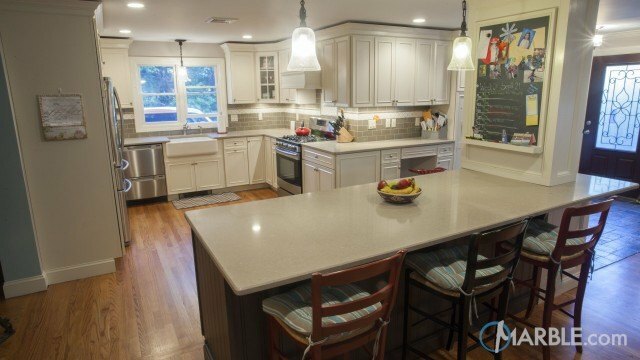 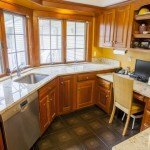 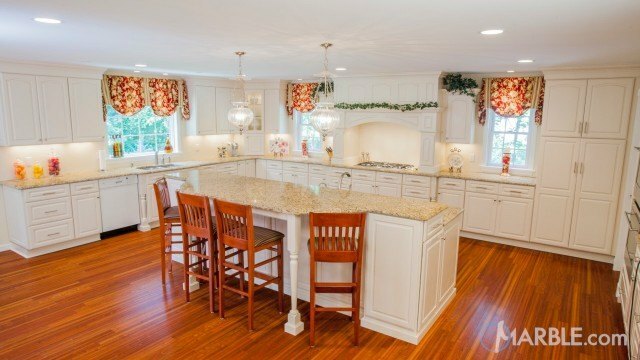 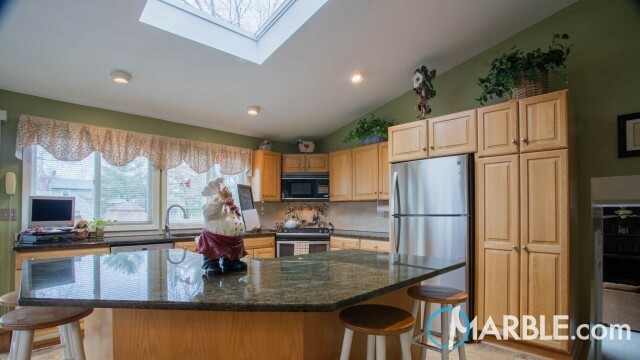 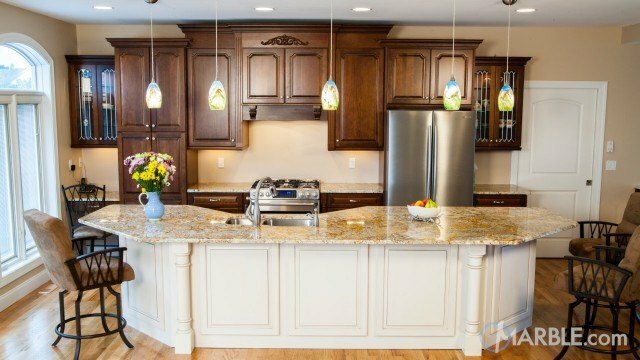 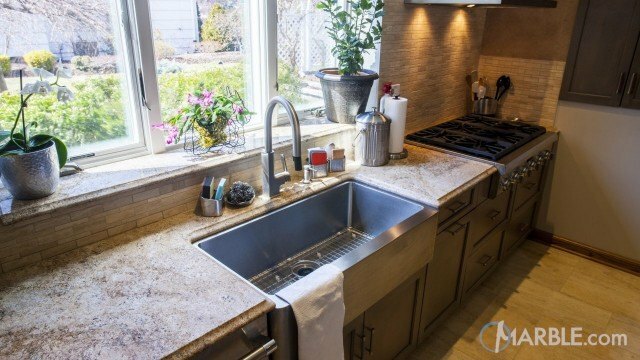 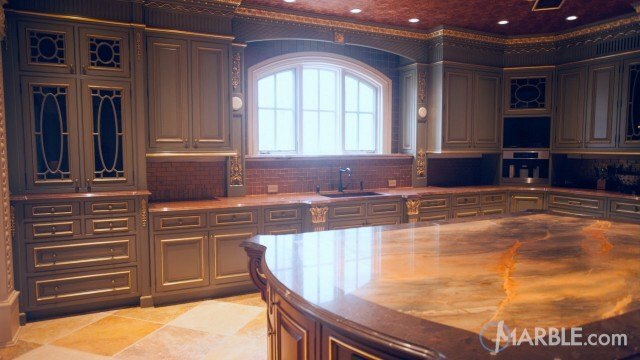 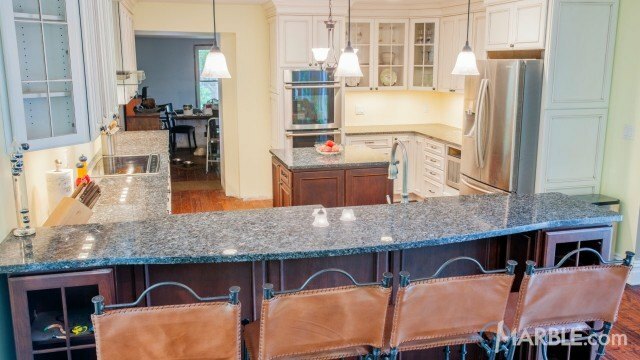 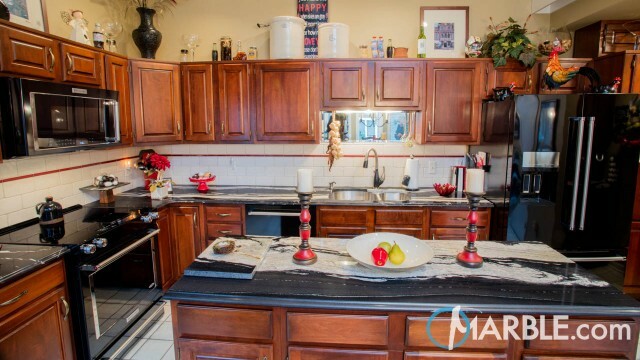 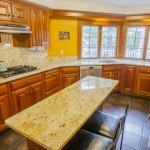 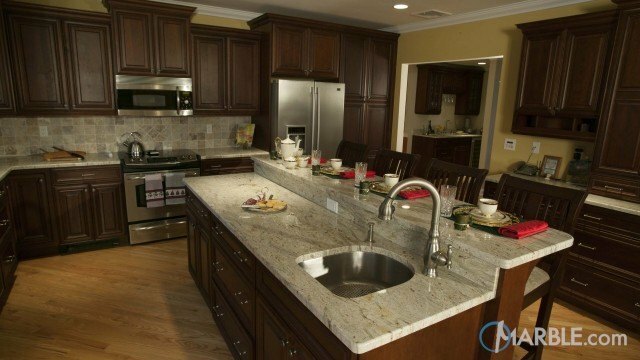 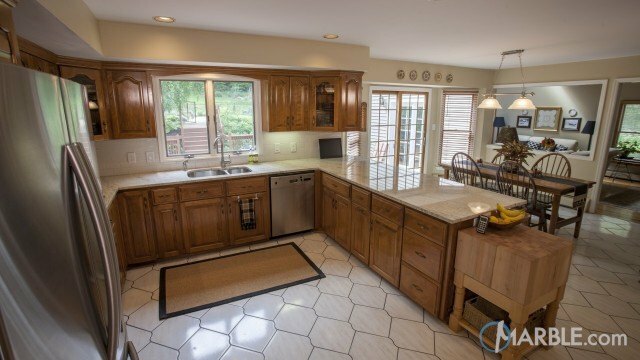 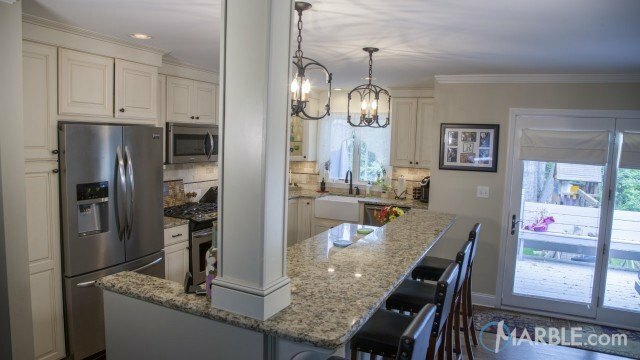 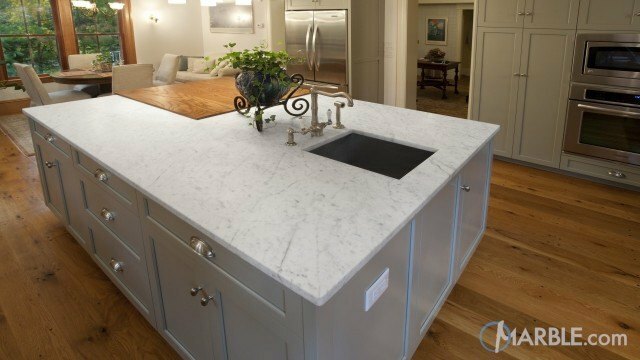 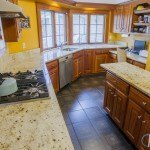 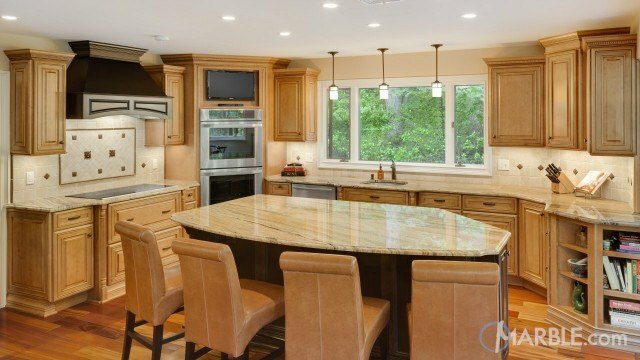 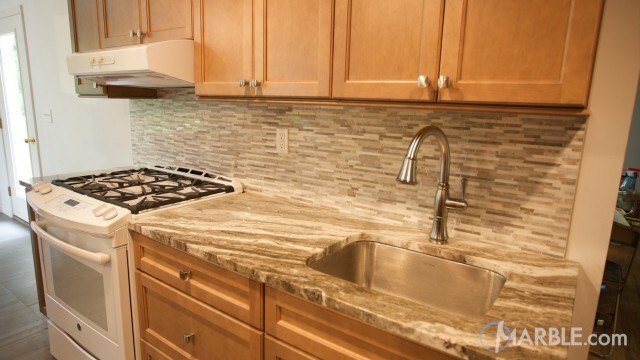 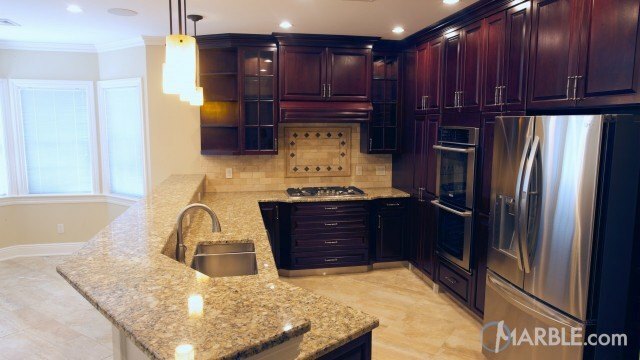 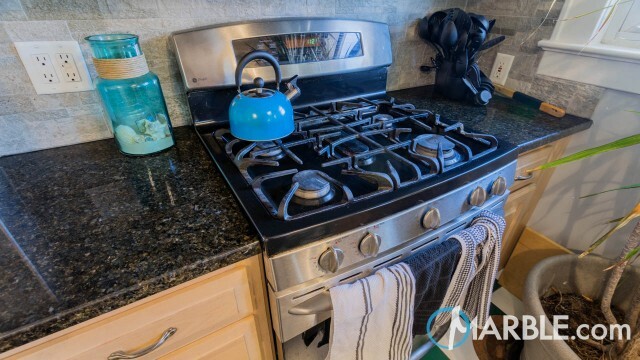 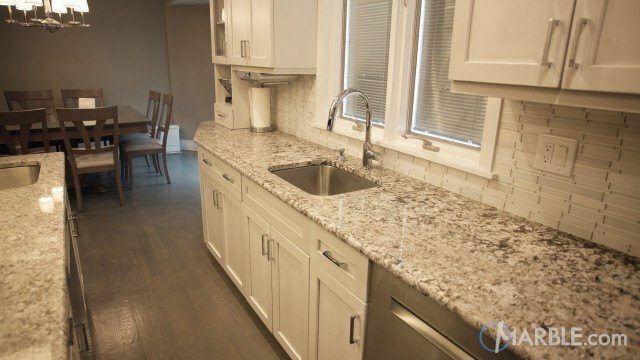 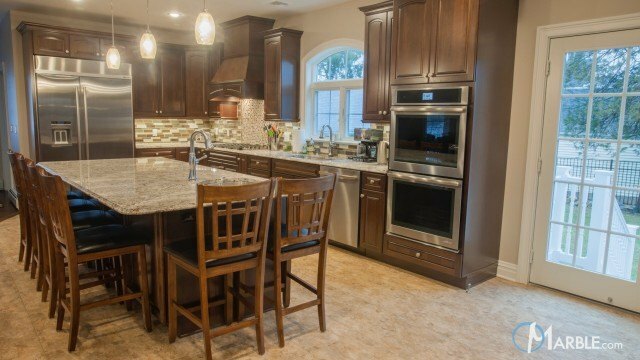 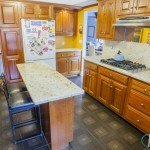 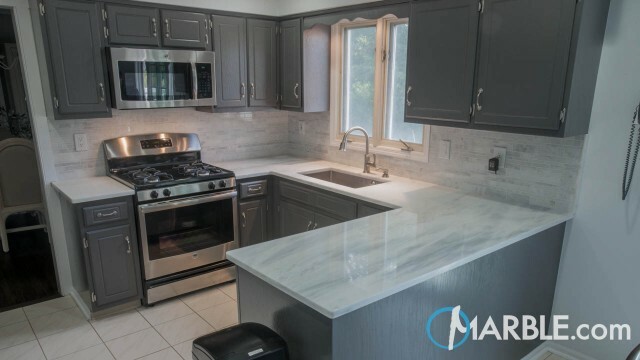 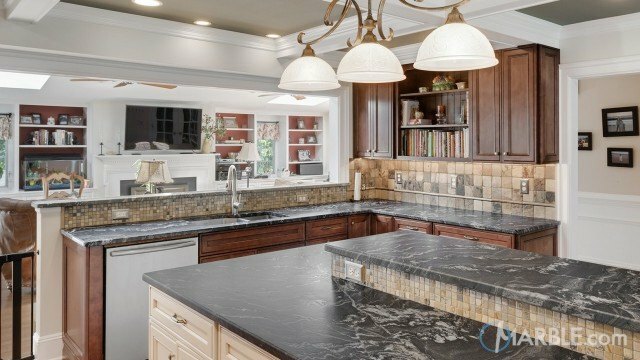 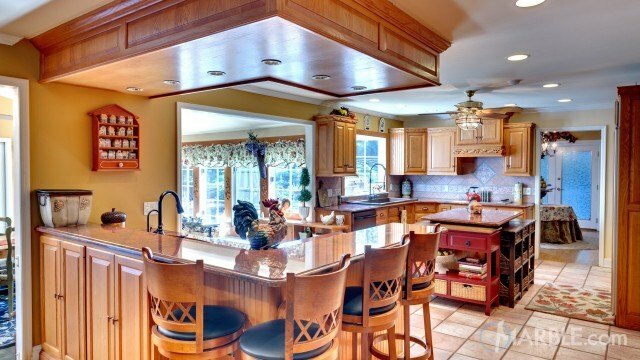 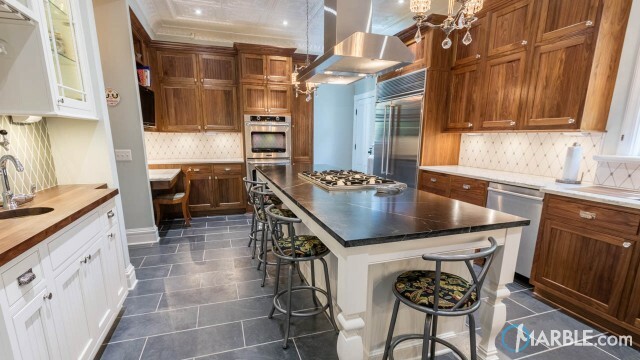 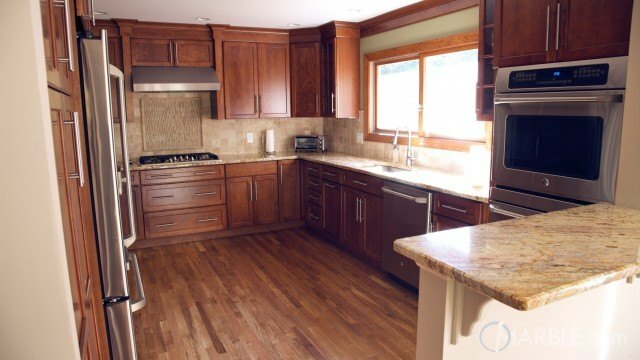 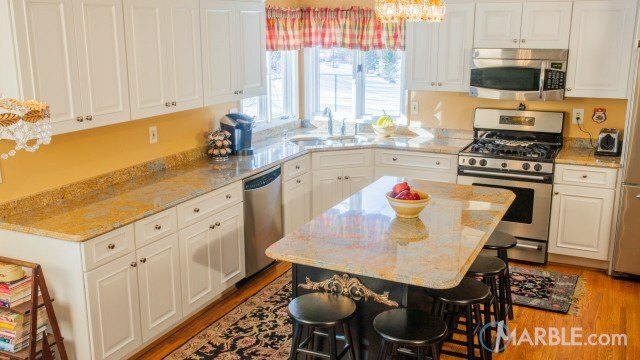 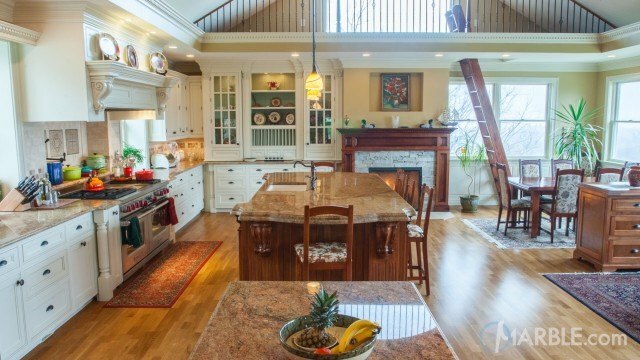 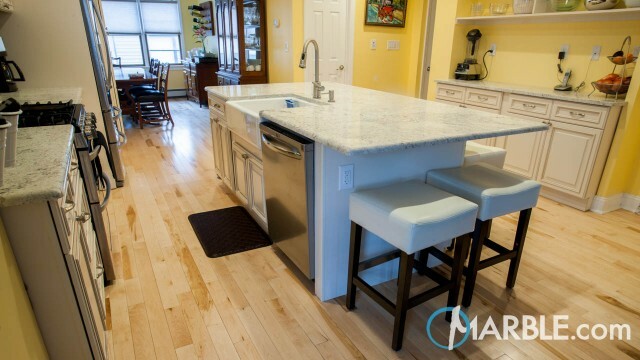 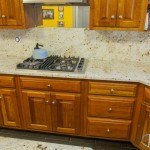 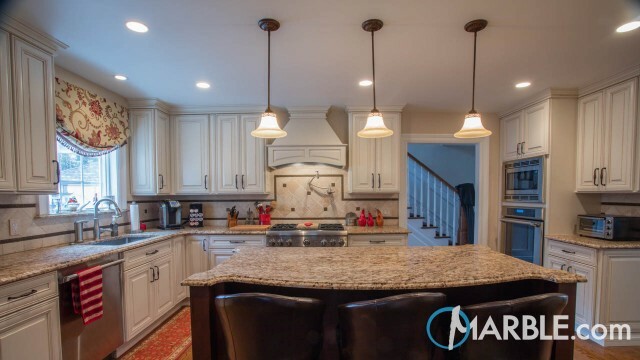 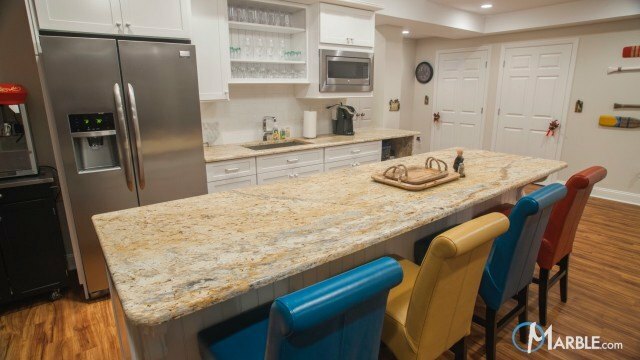 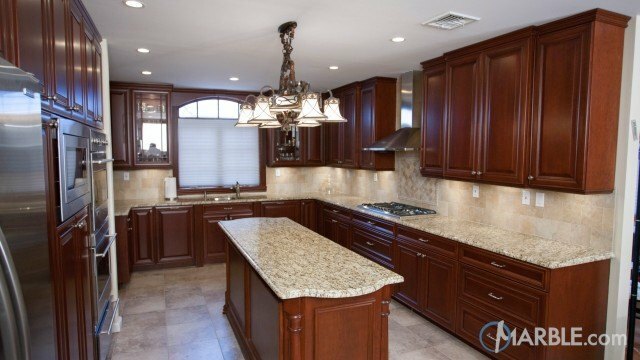 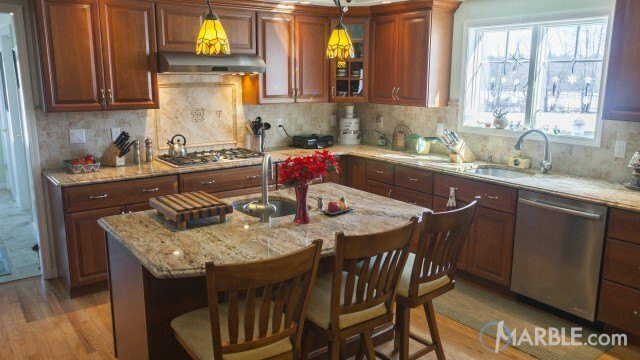 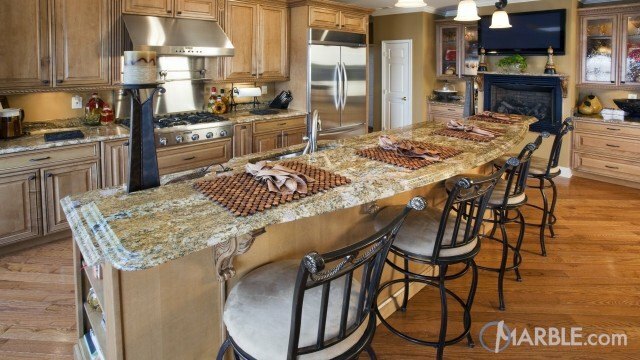 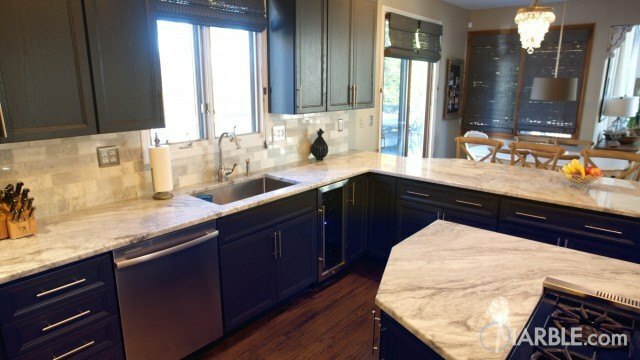 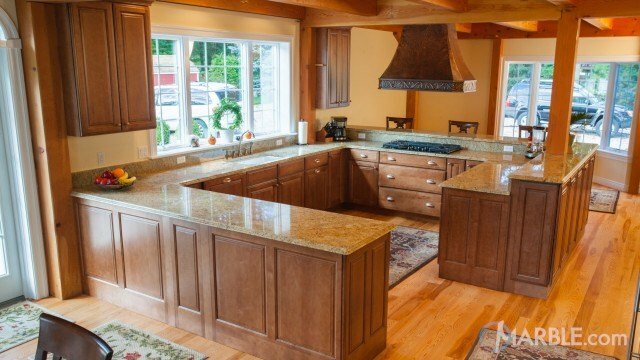 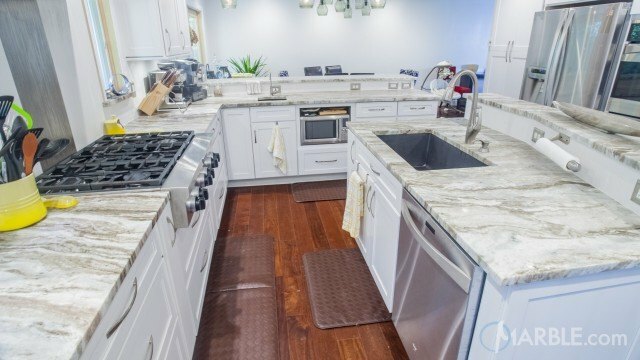 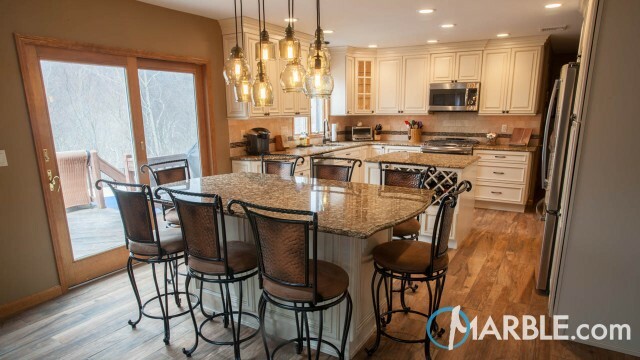 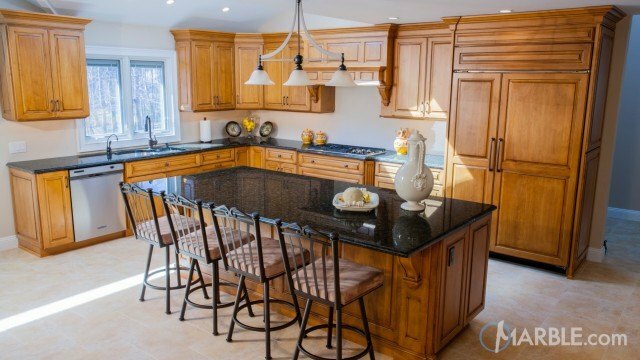 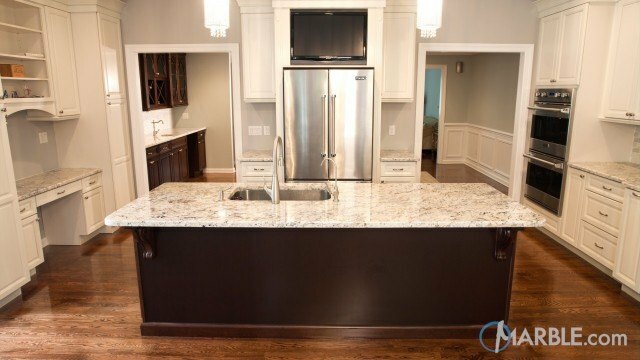 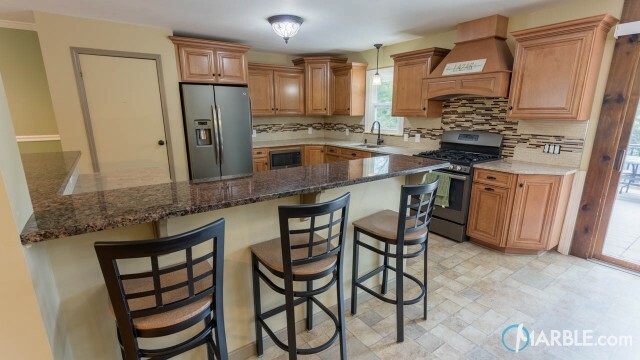 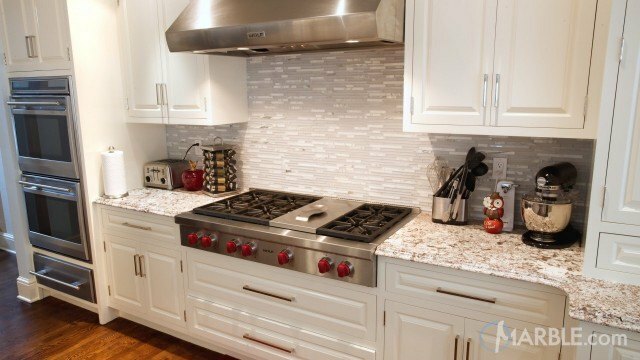 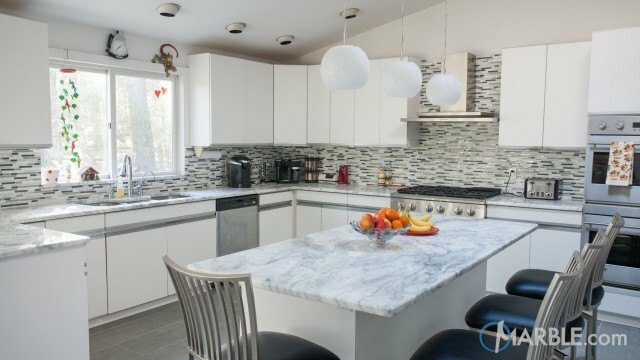 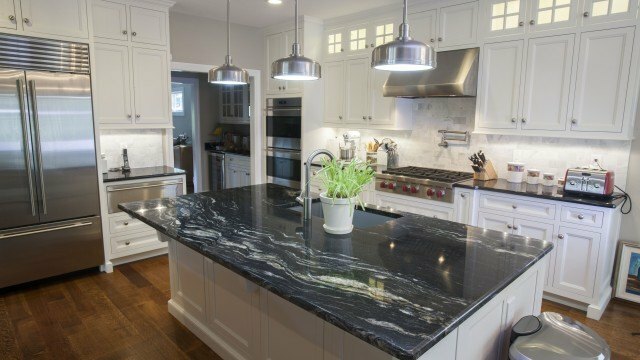 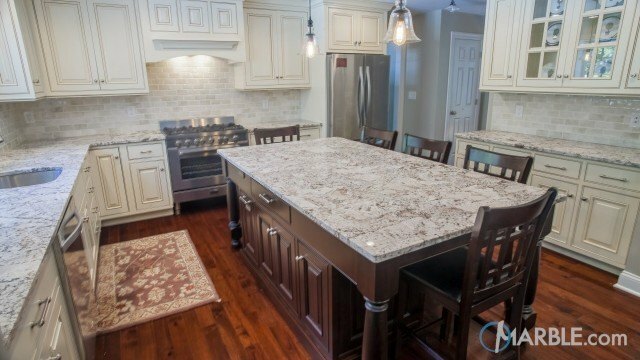 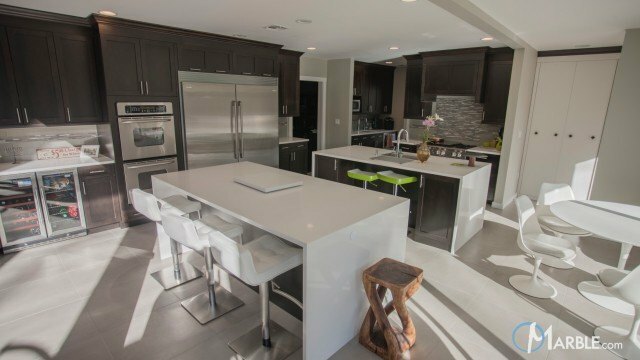 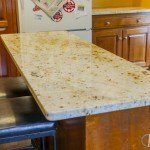 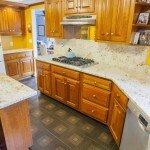 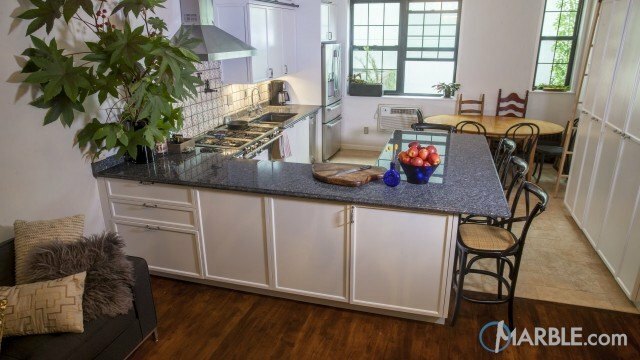 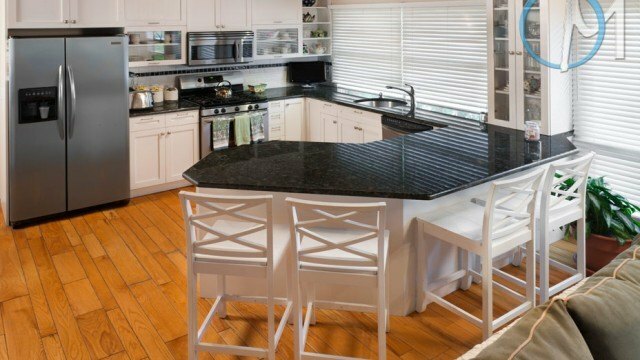 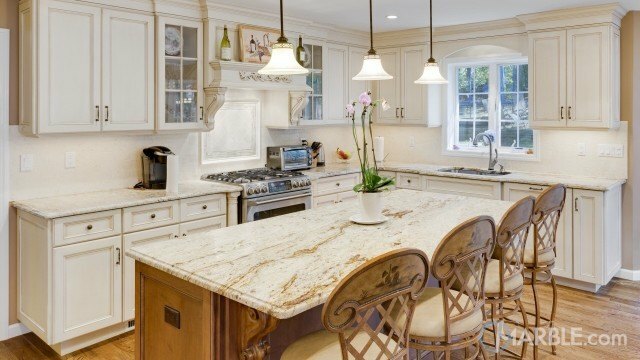 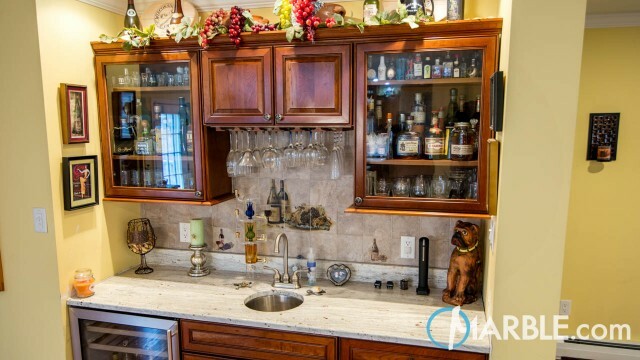 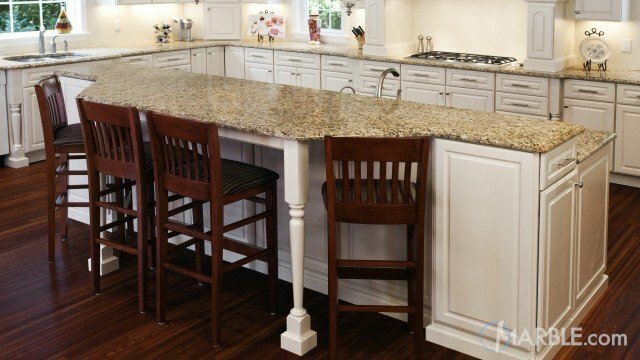 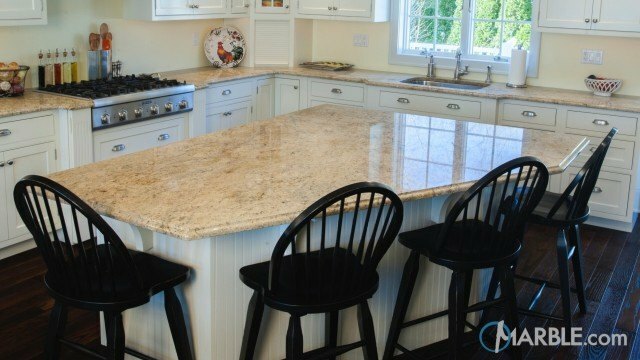 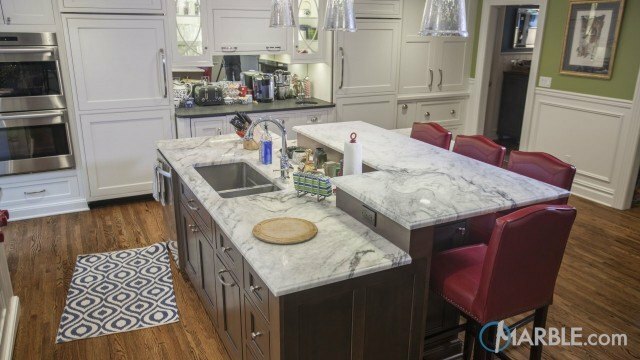 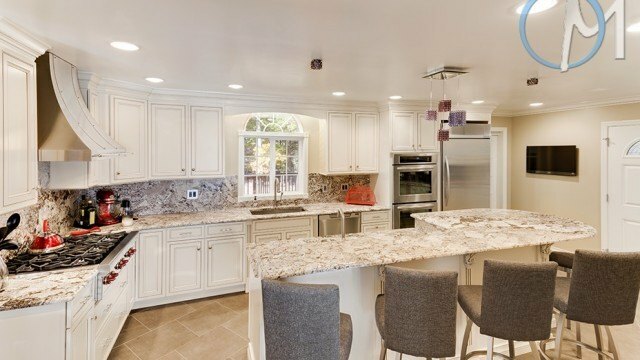 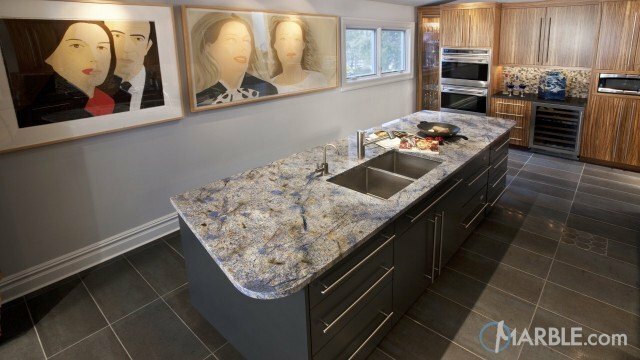 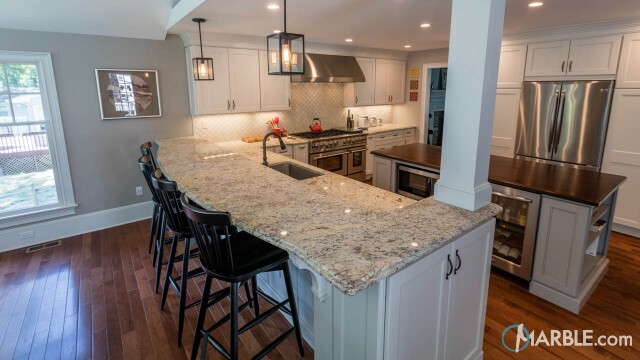 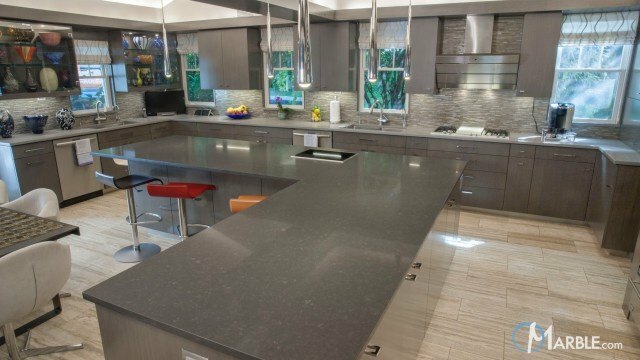 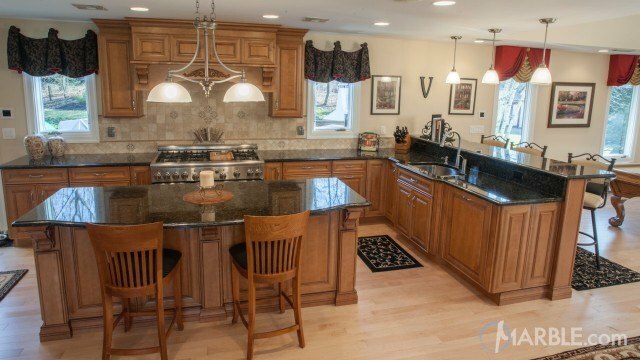 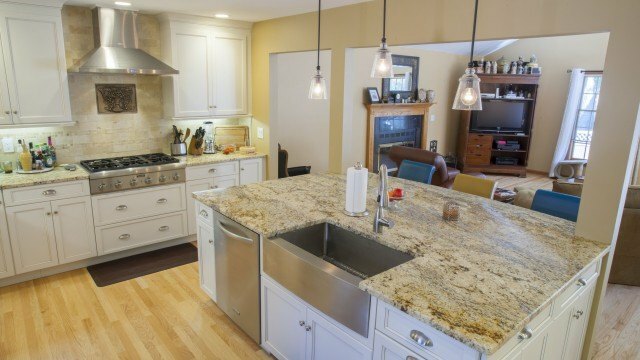 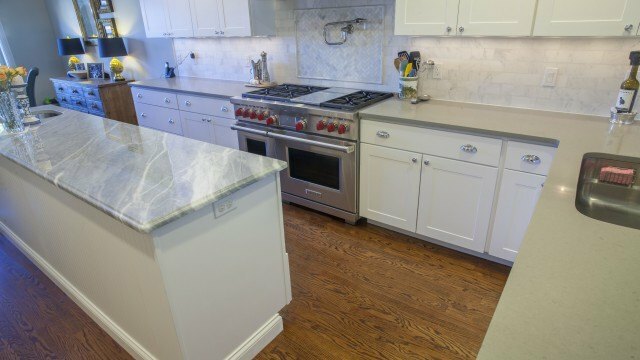 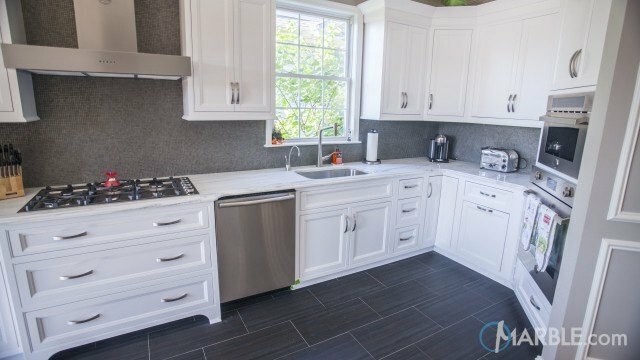 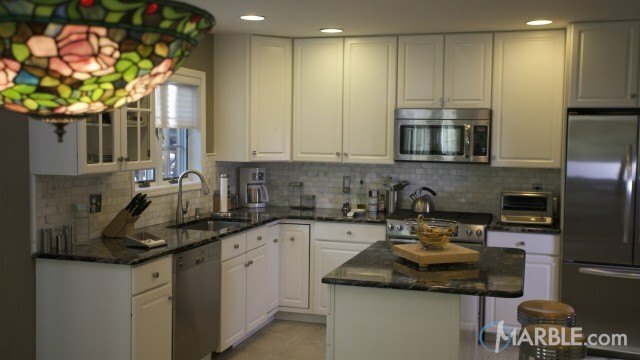 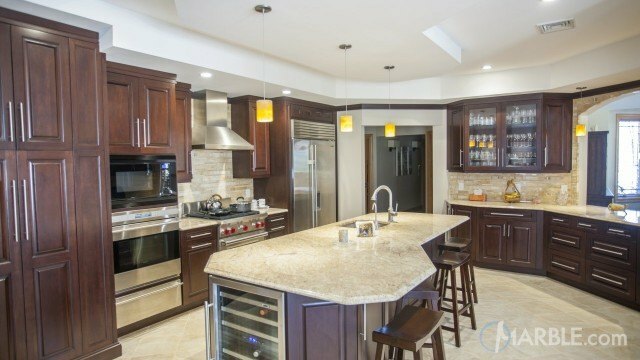 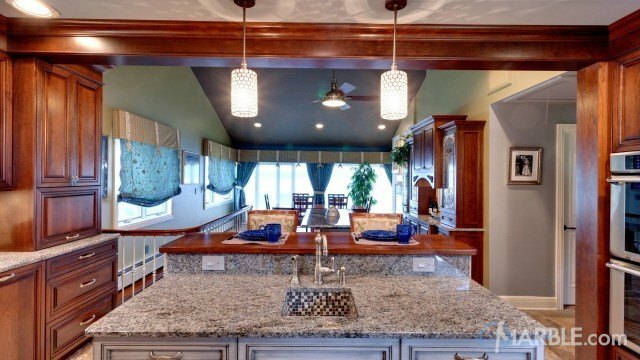 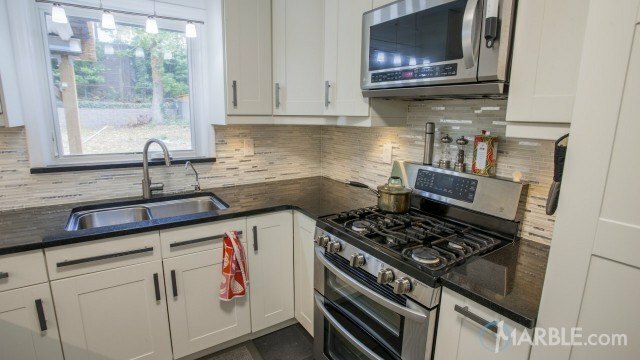 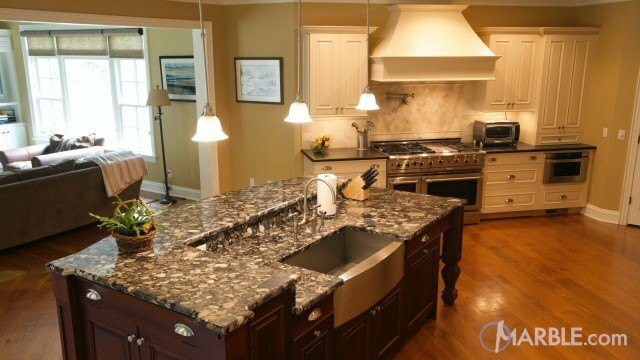 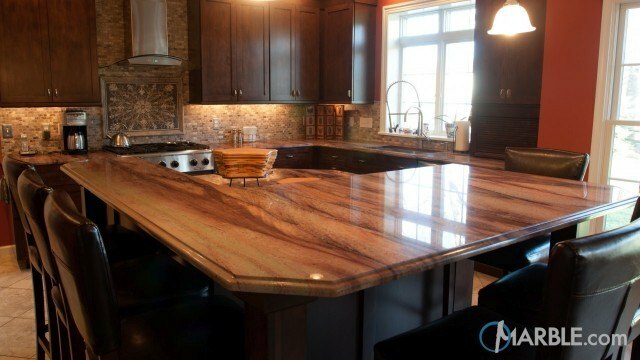 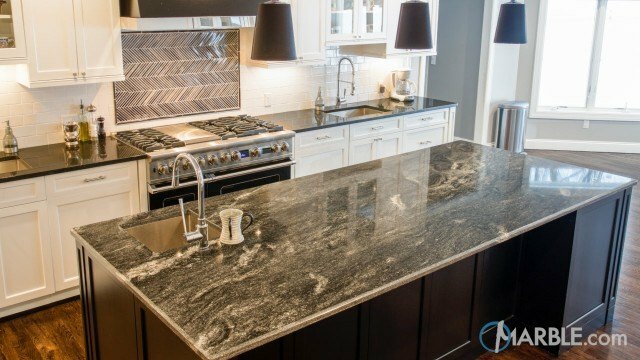 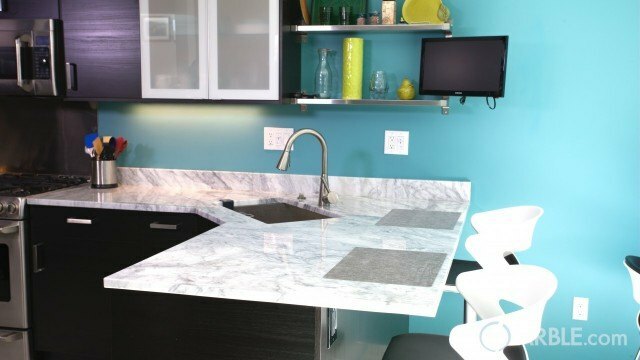 By adding an island instead of another counter top on the back wall the home owners created a separate space that can be used for both cooking and serving. 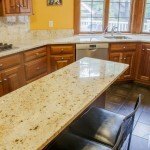 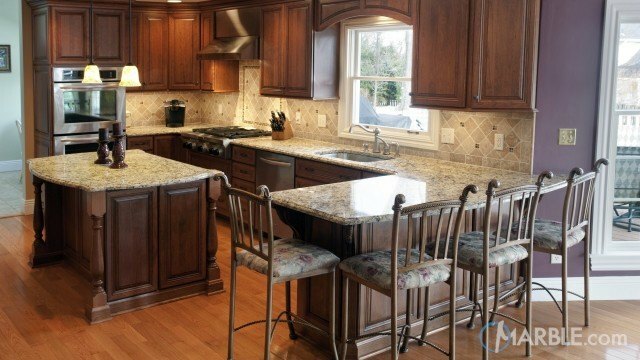 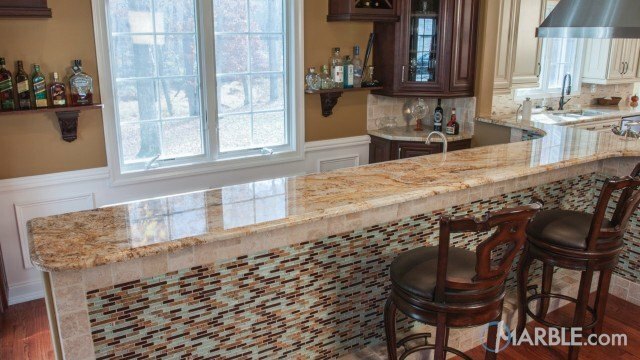 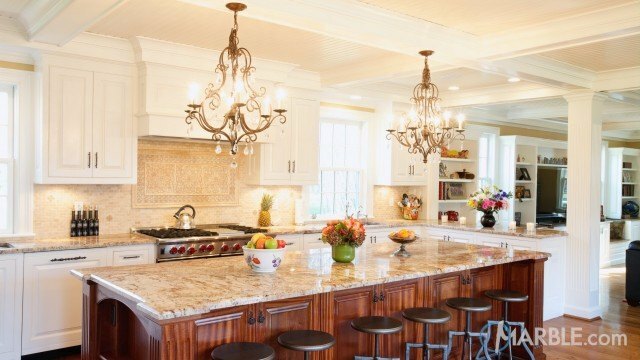 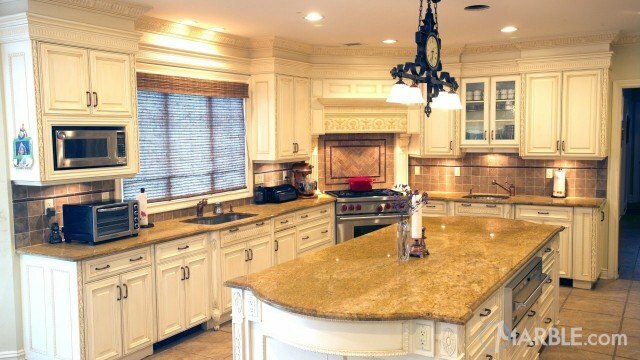 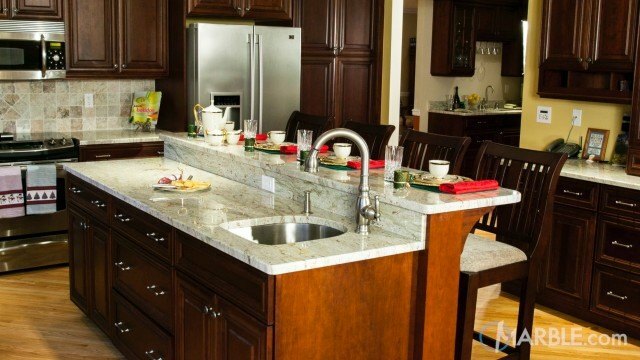 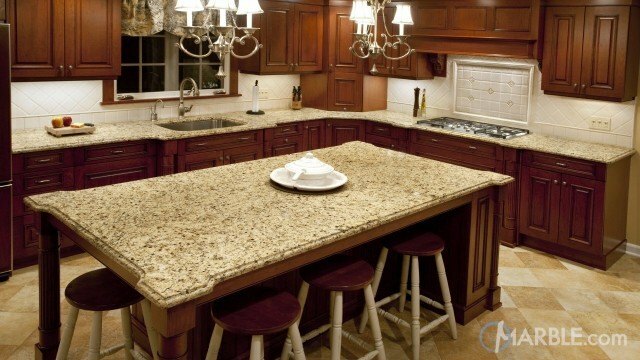 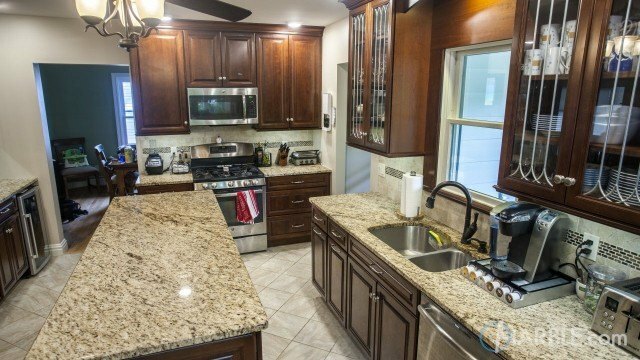 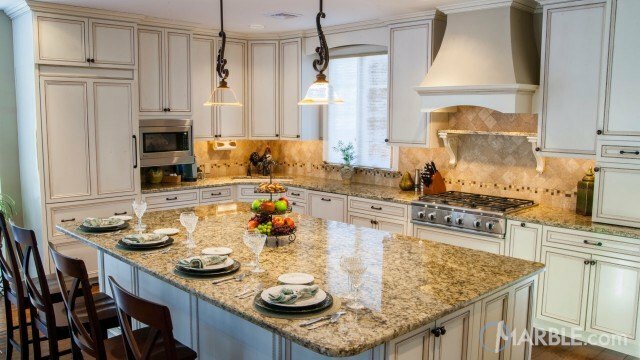 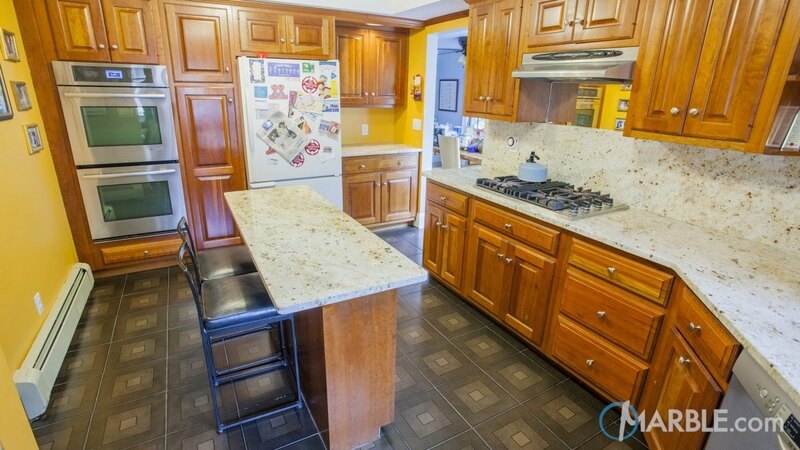 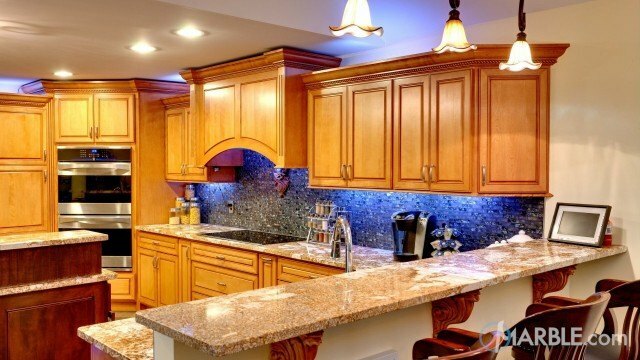 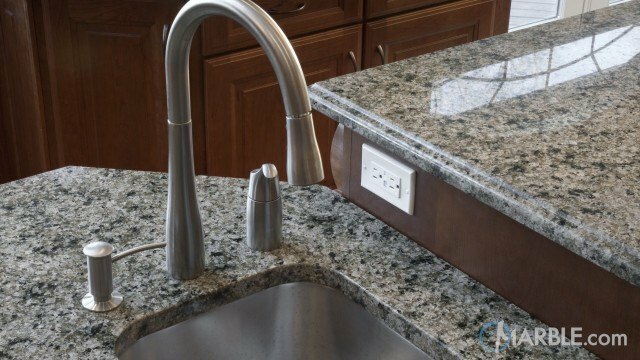 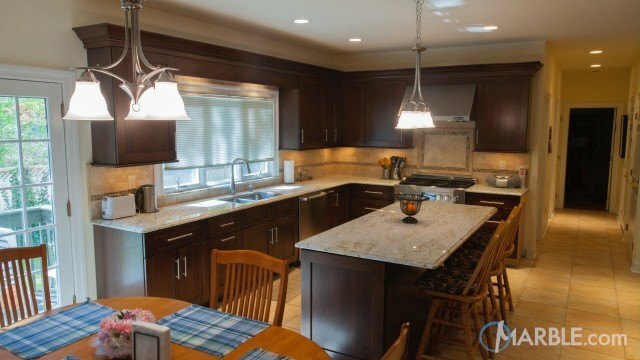 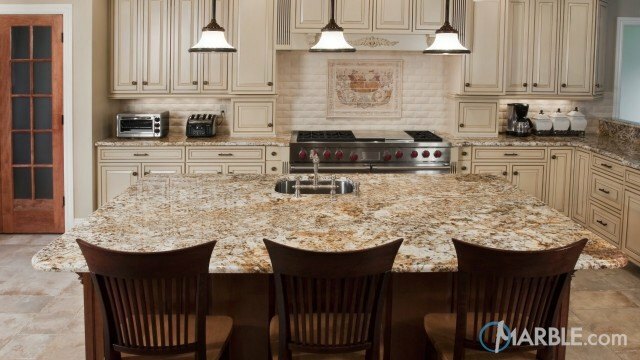 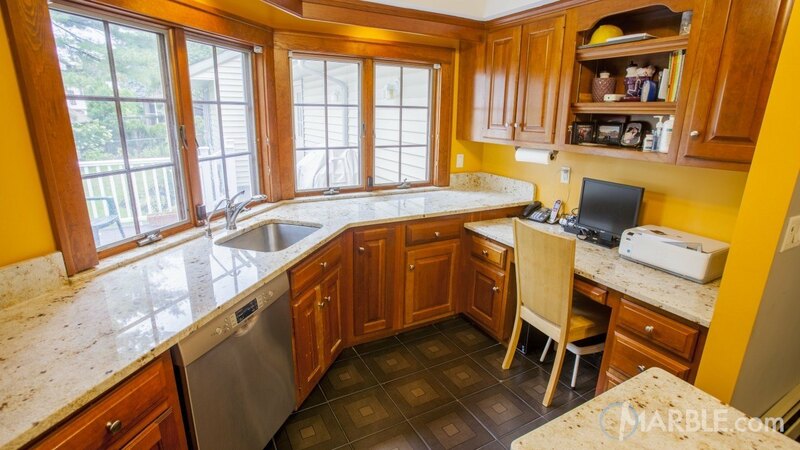 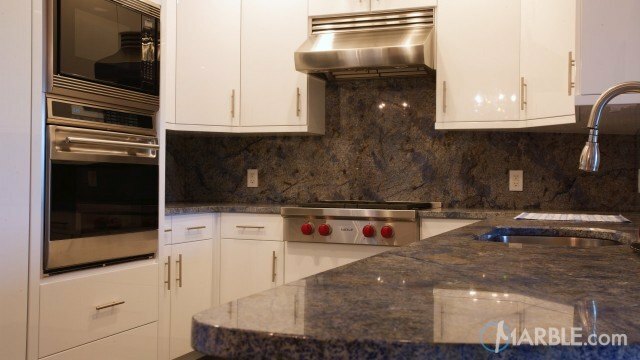 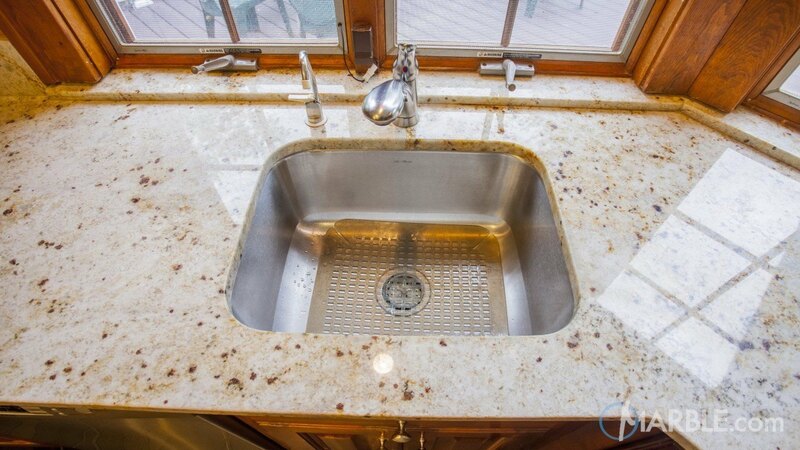 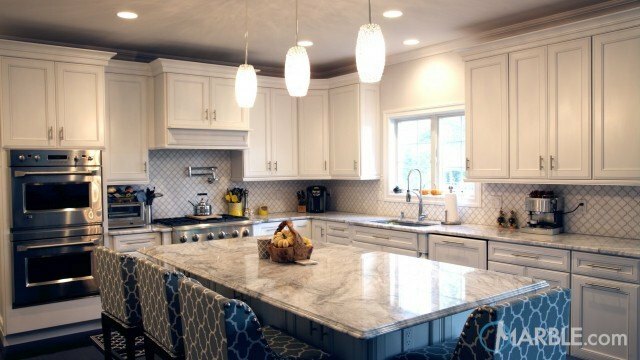 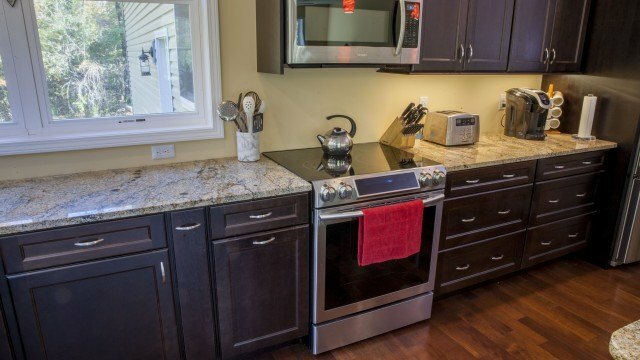 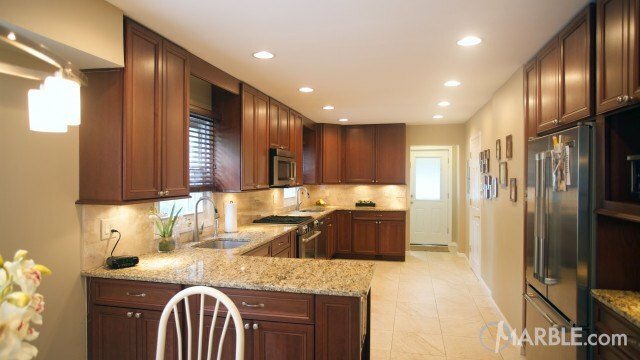 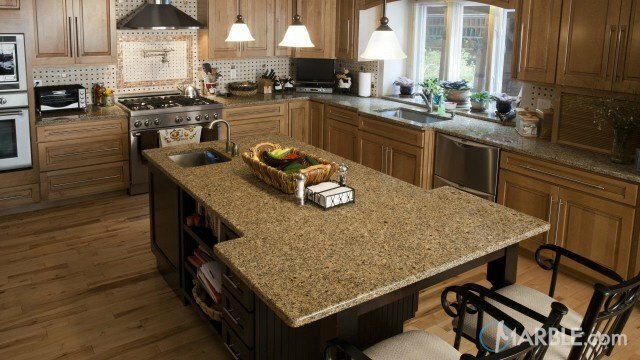 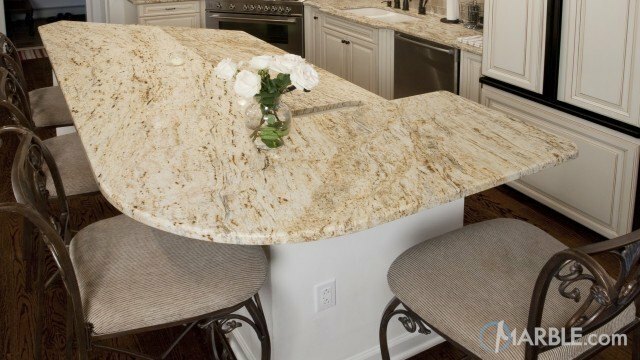 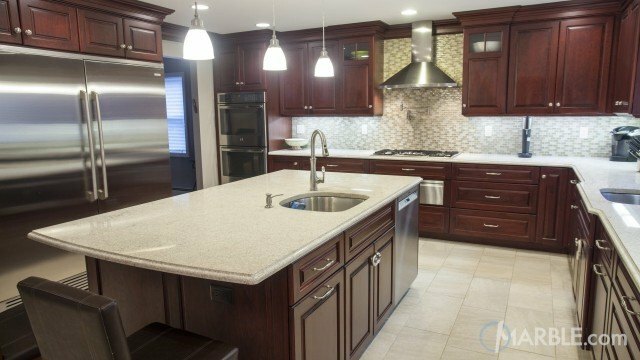 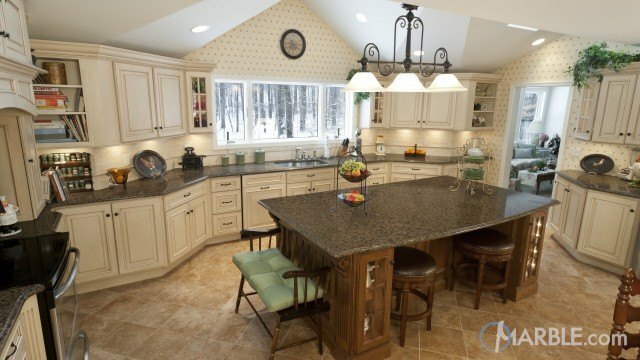 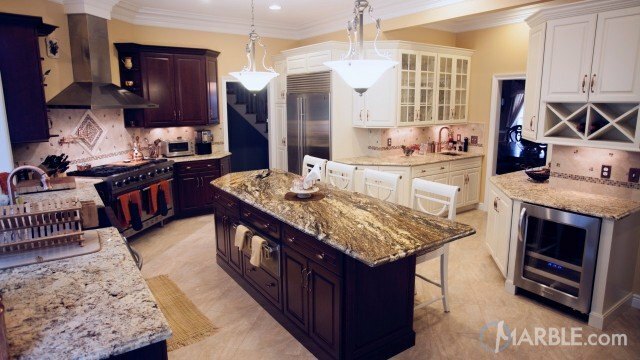 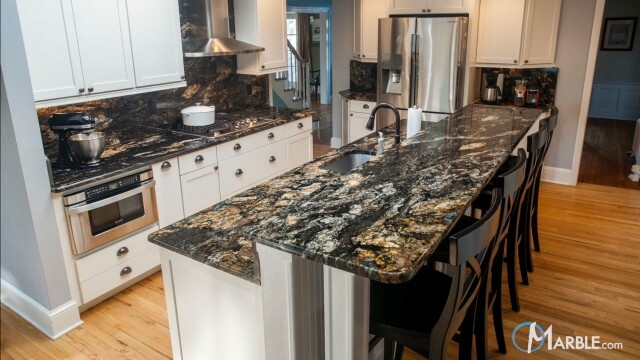 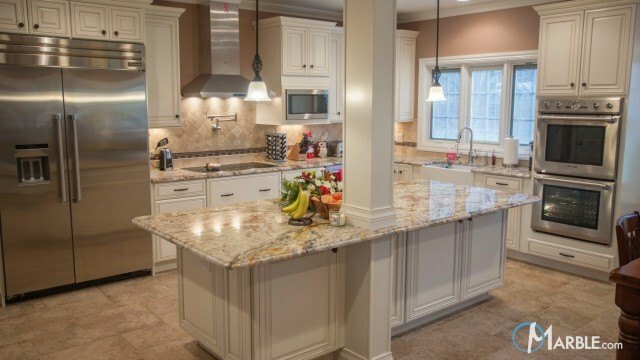 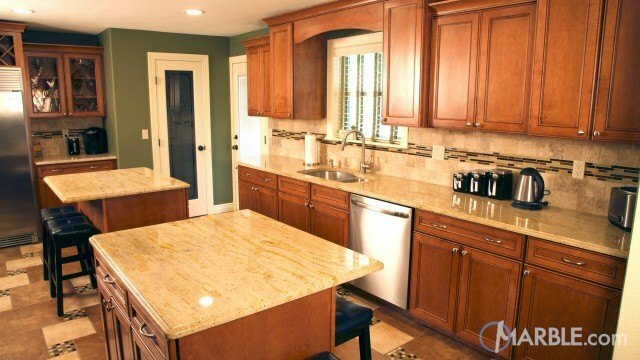 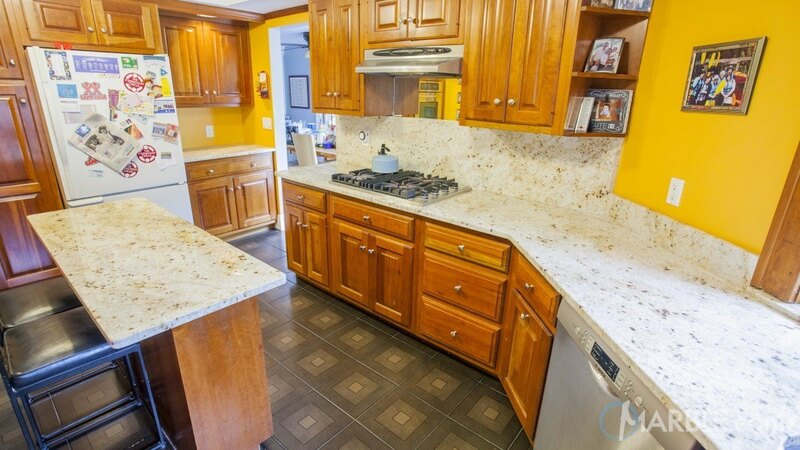 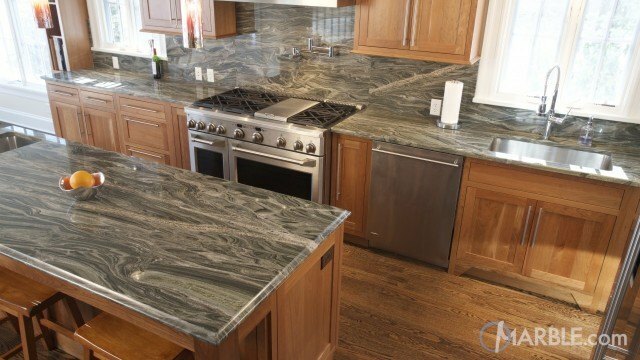 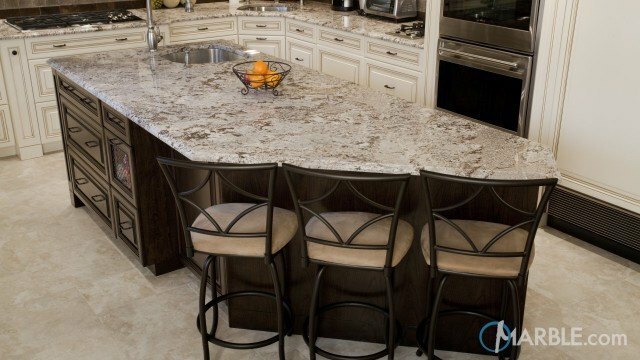 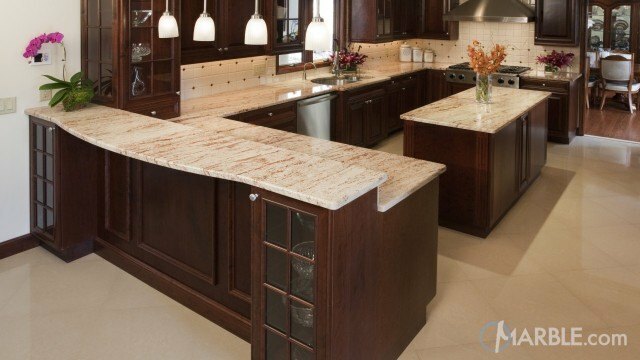 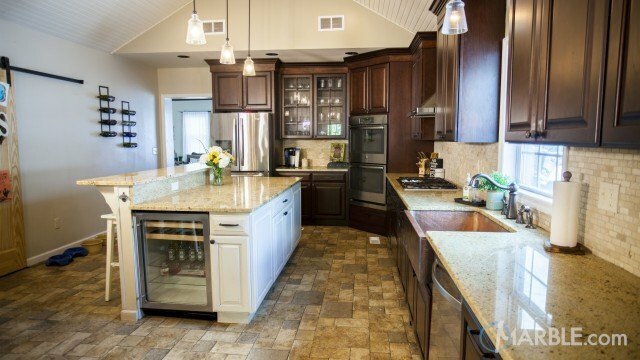 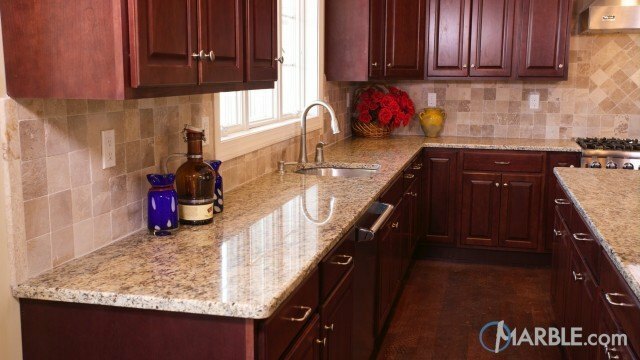 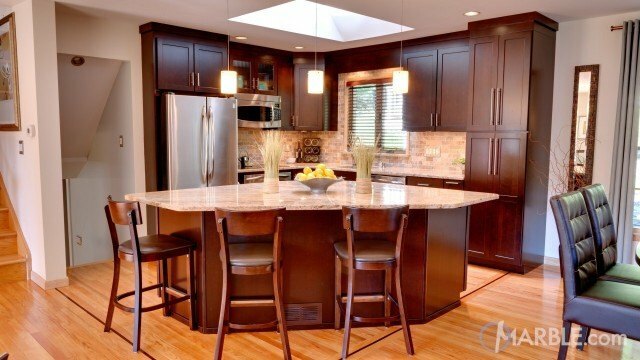 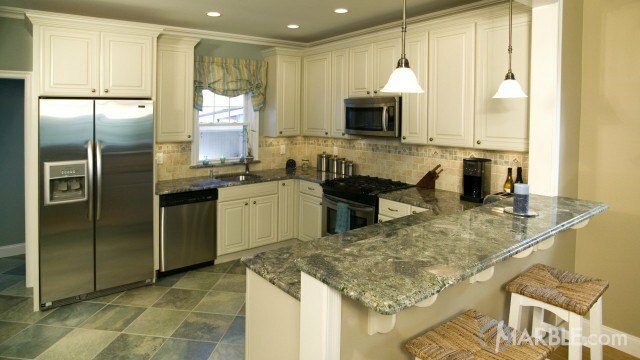 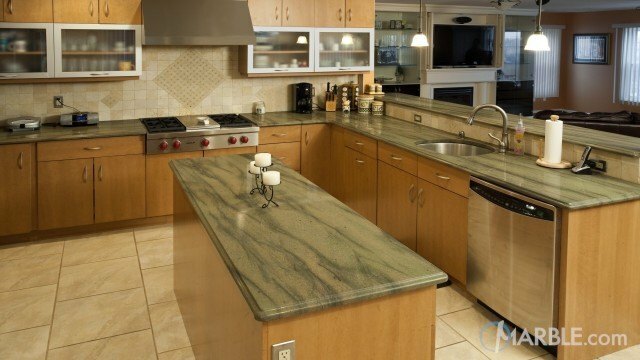 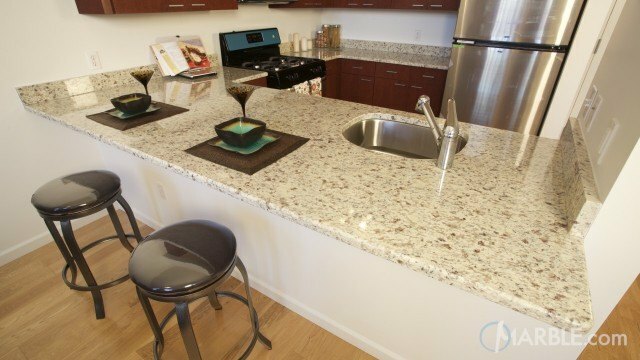 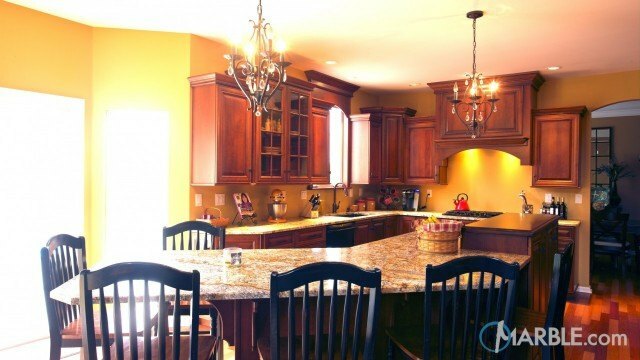 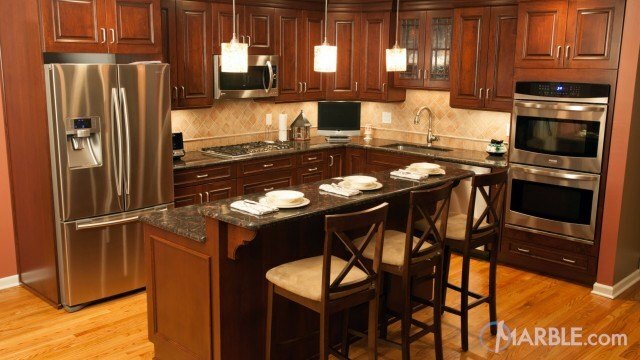 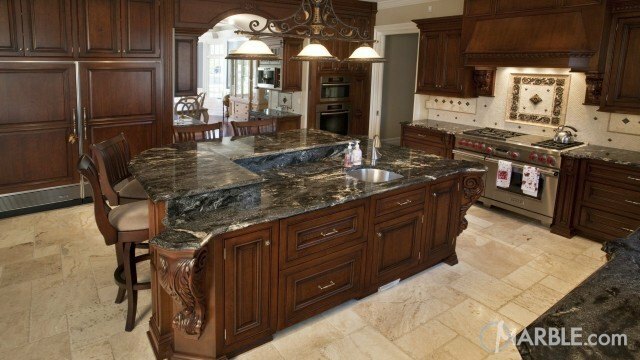 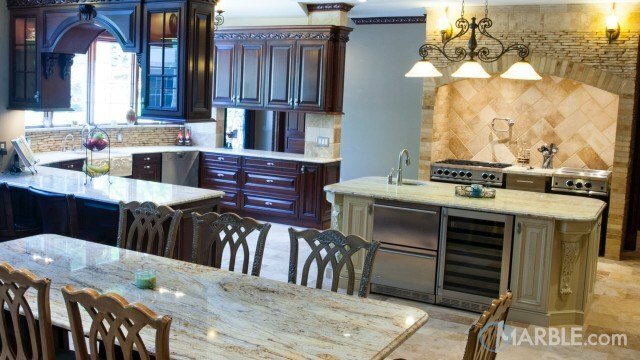 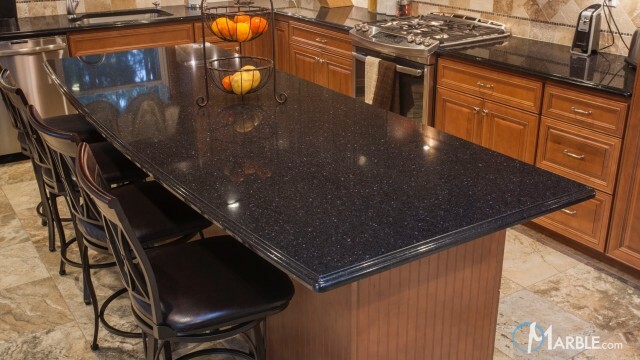 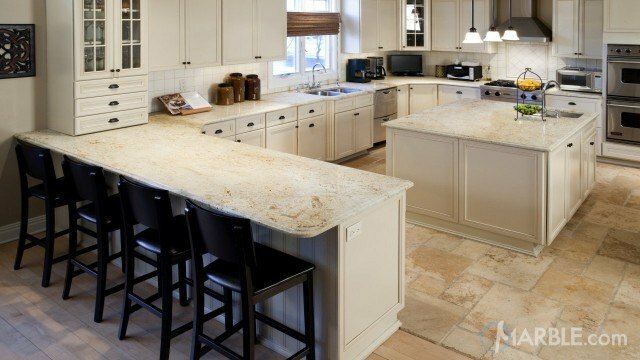 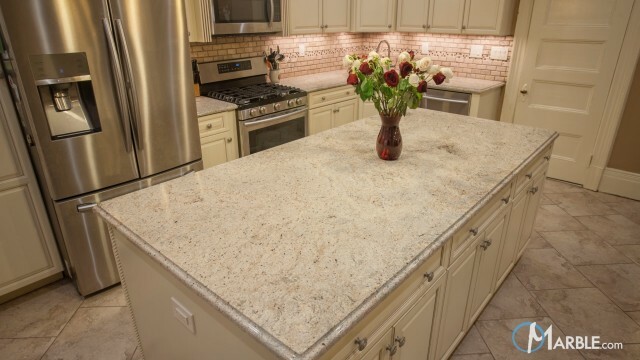 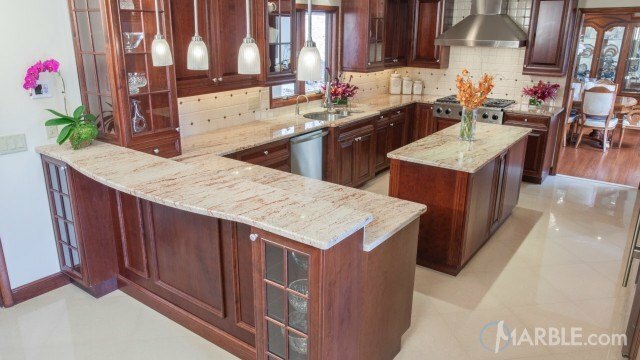 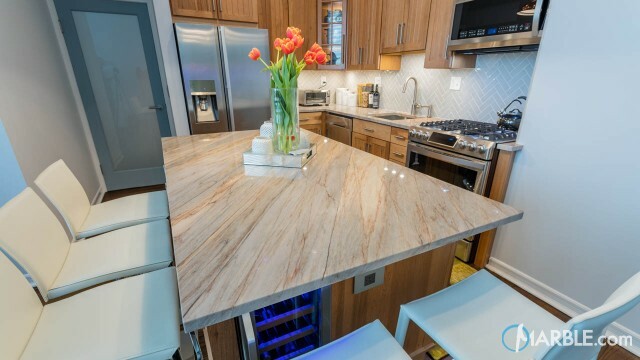 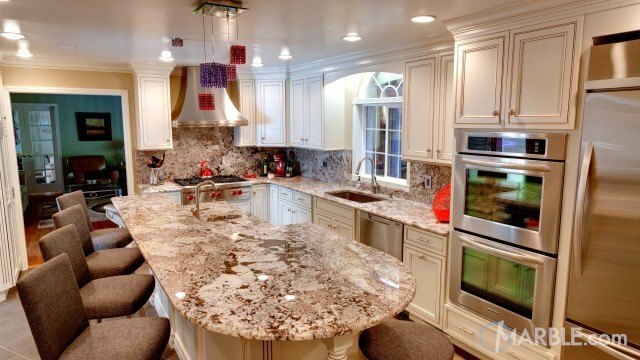 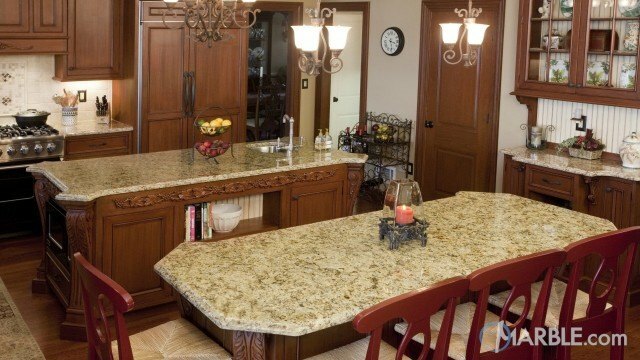 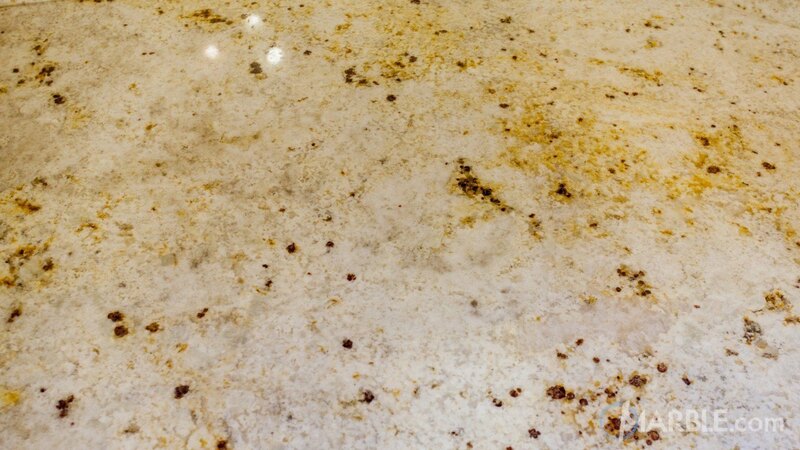 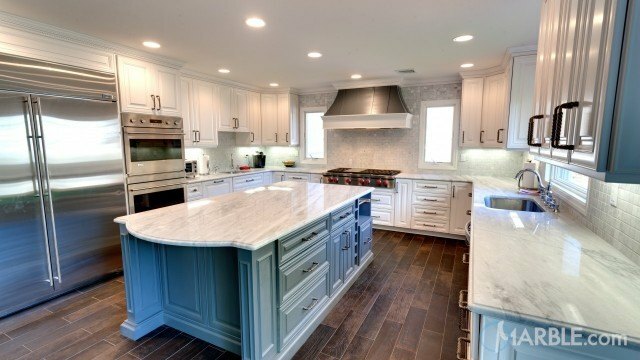 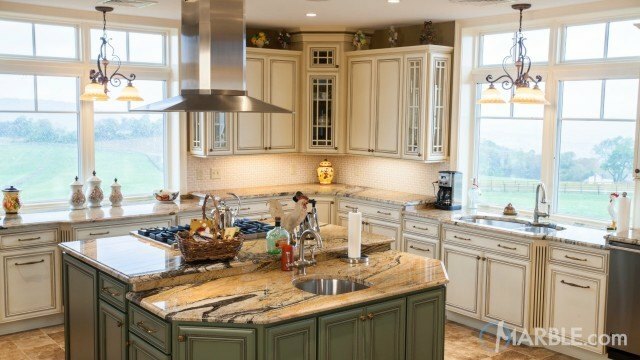 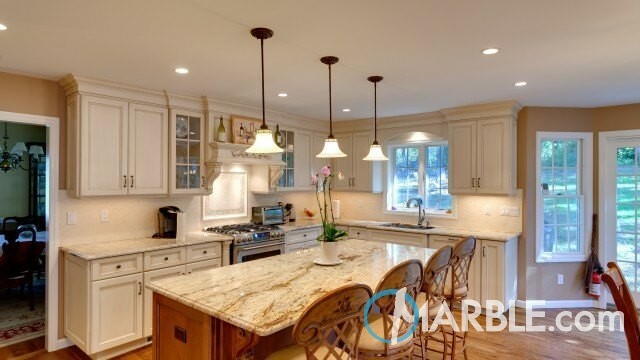 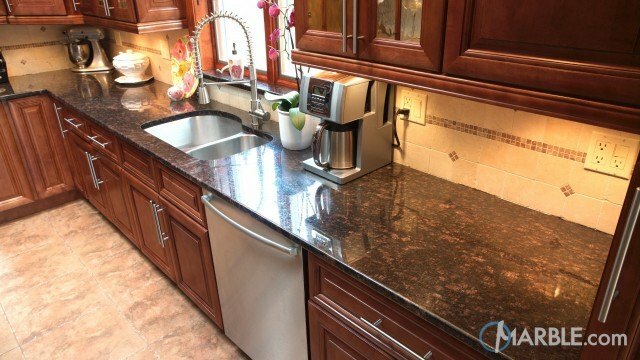 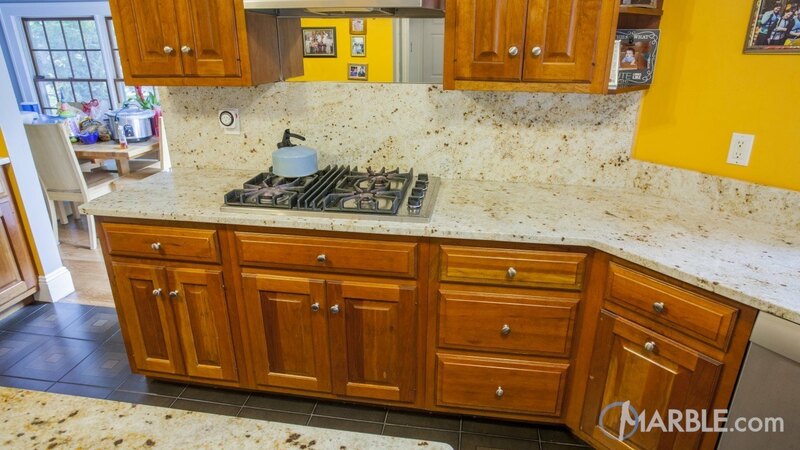 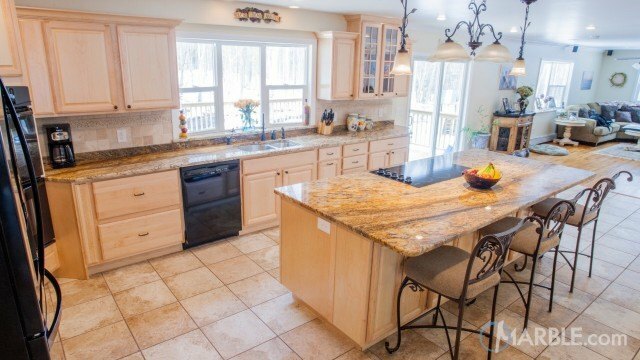 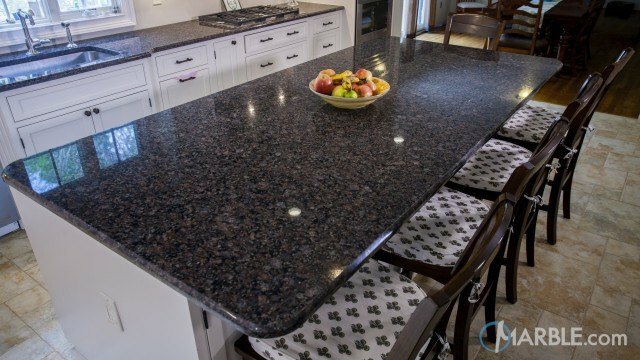 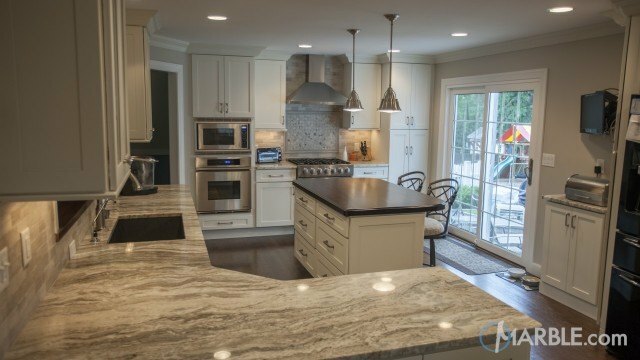 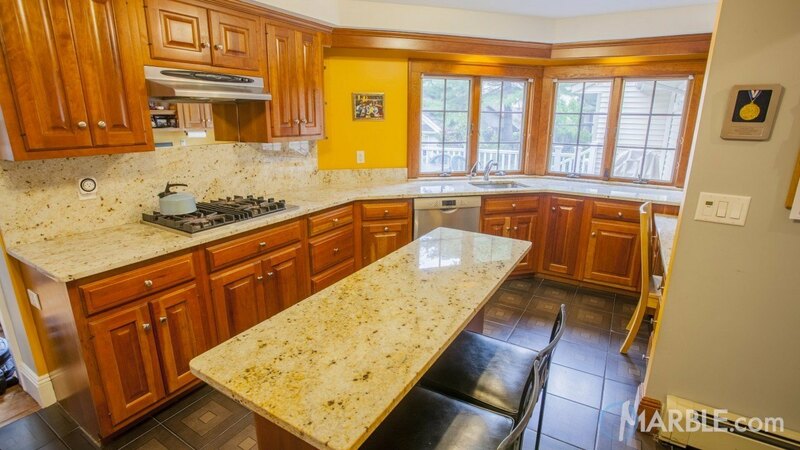 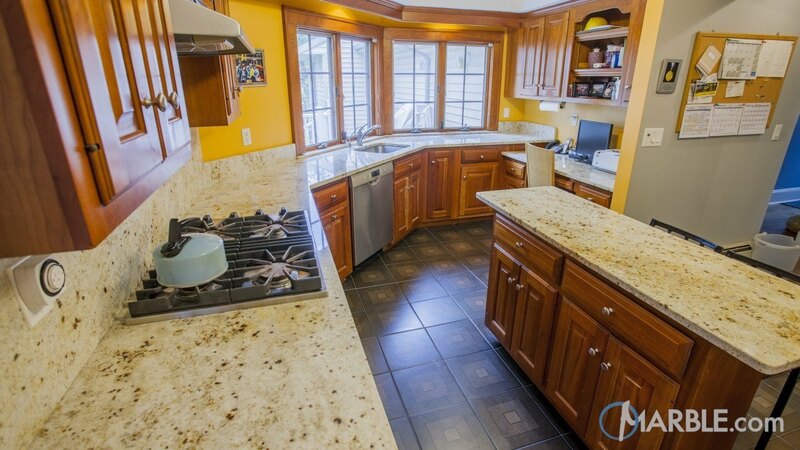 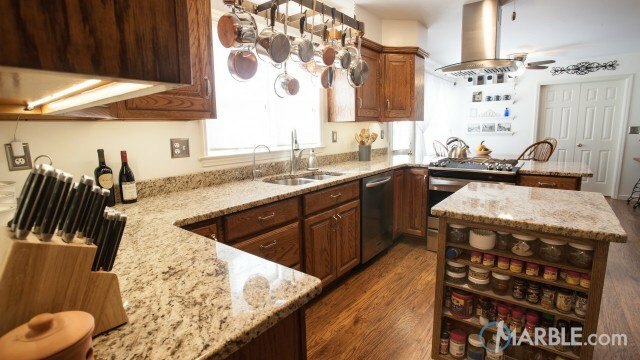 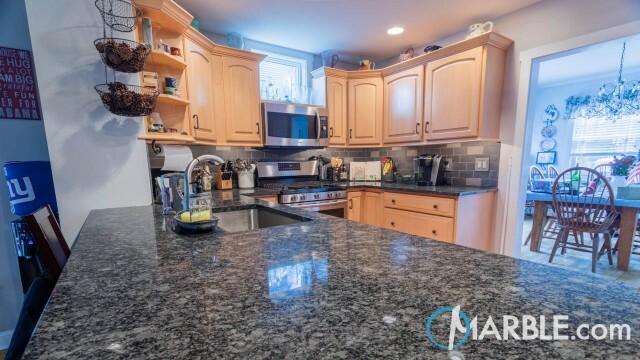 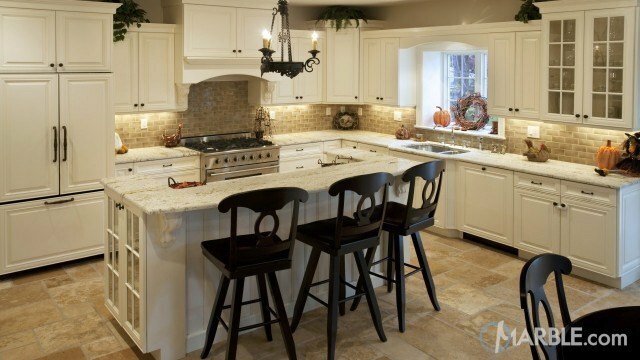 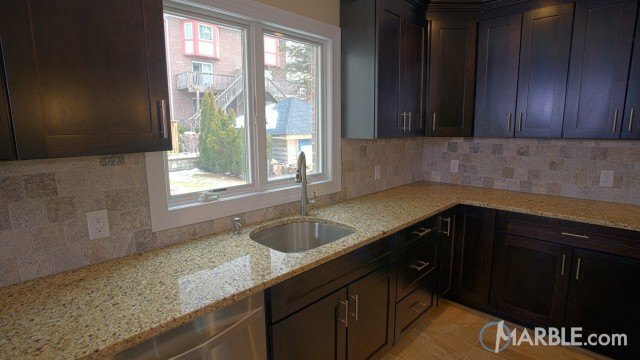 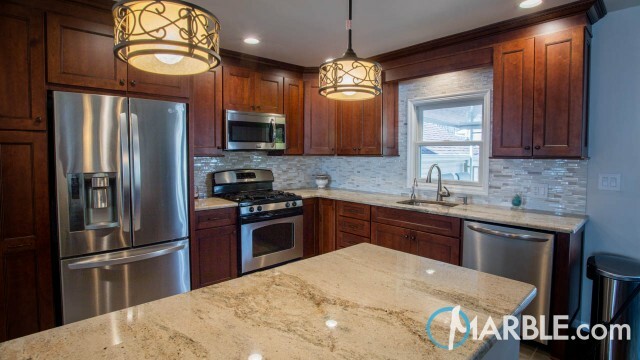 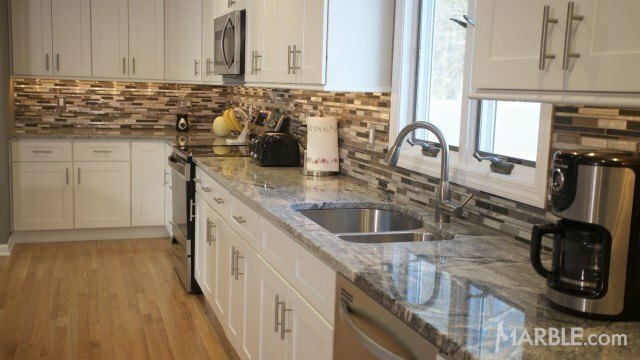 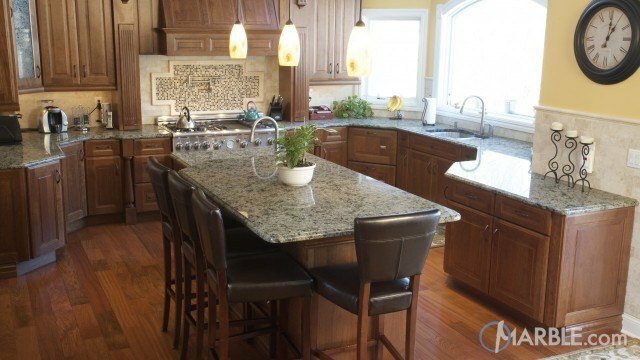 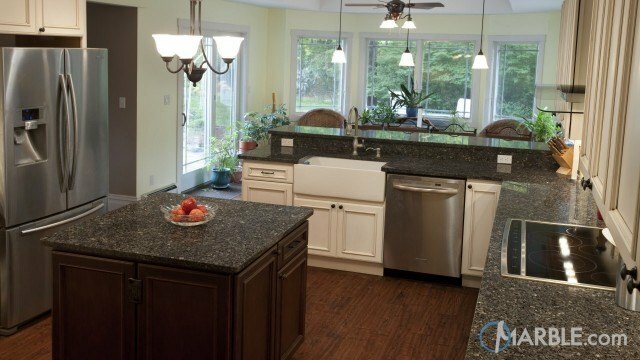 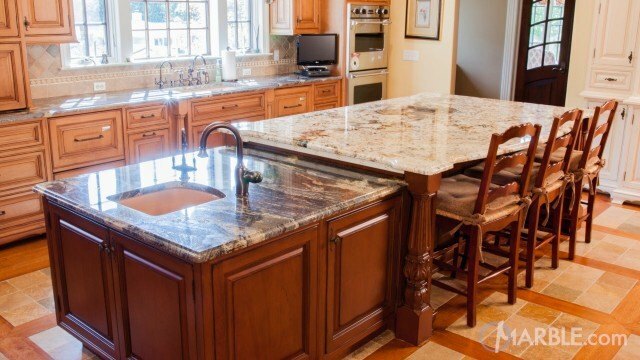 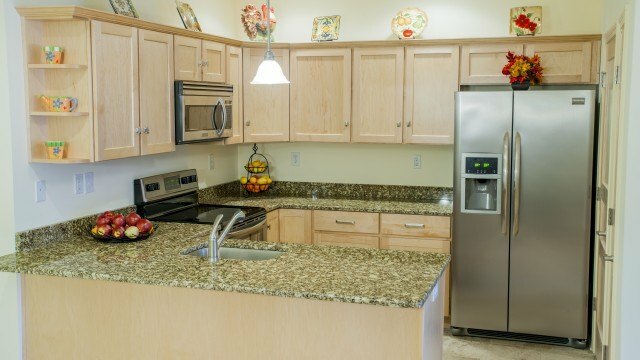 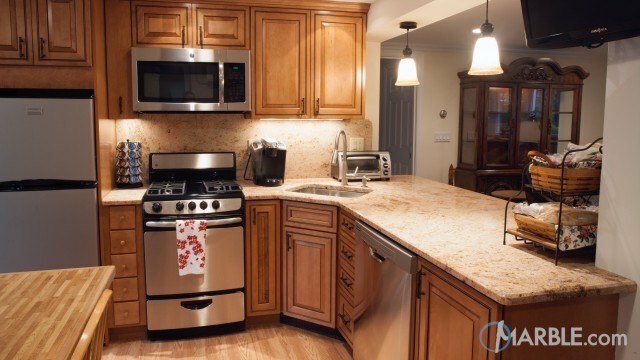 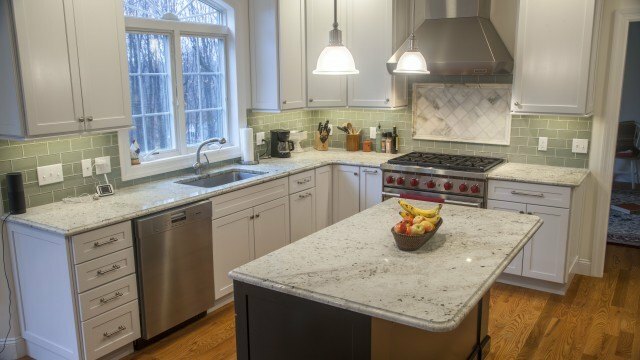 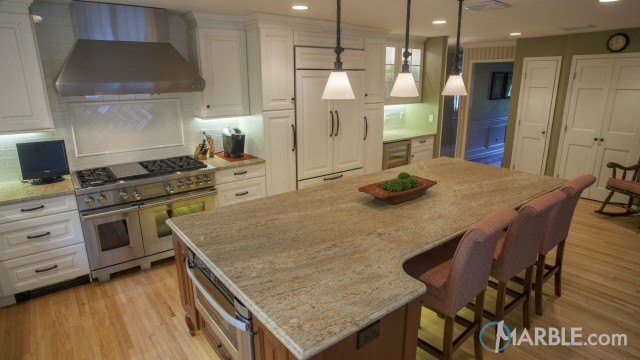 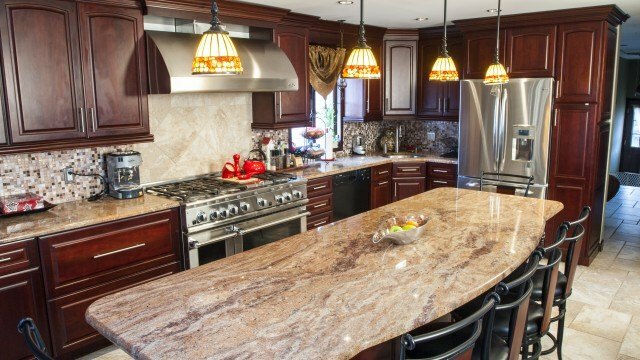 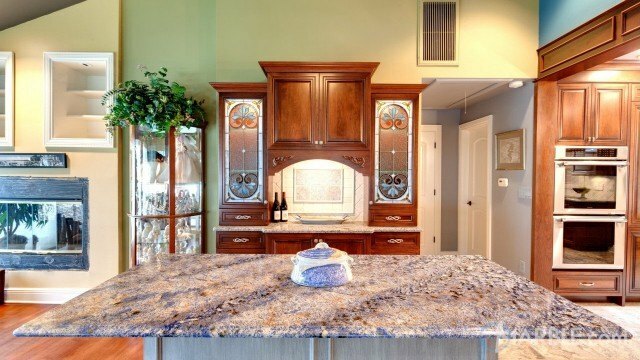 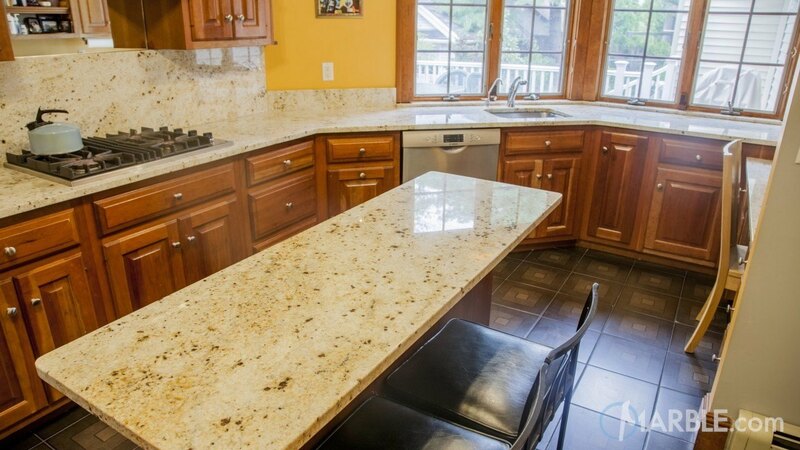 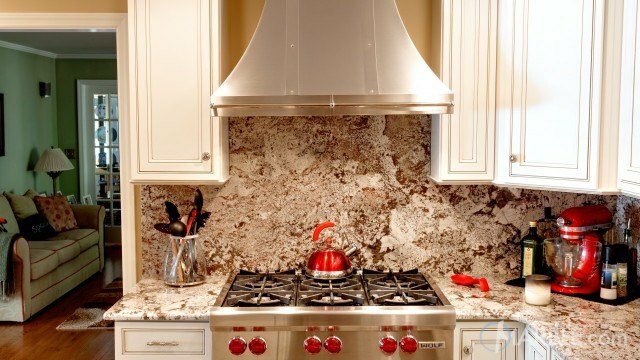 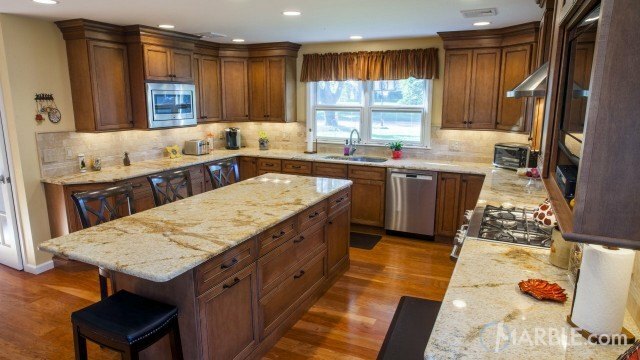 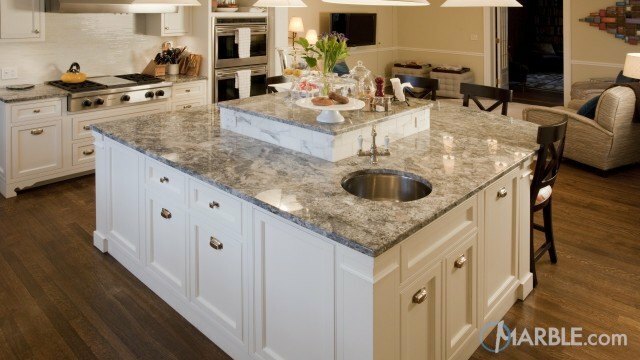 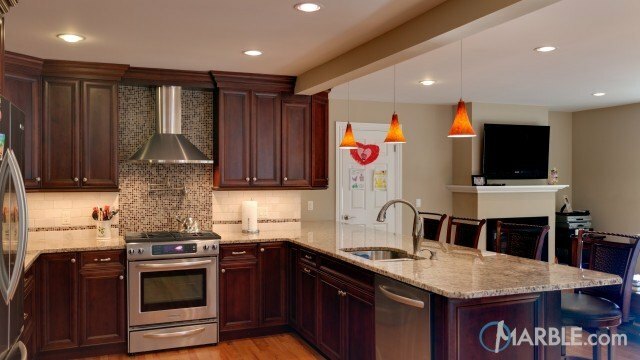 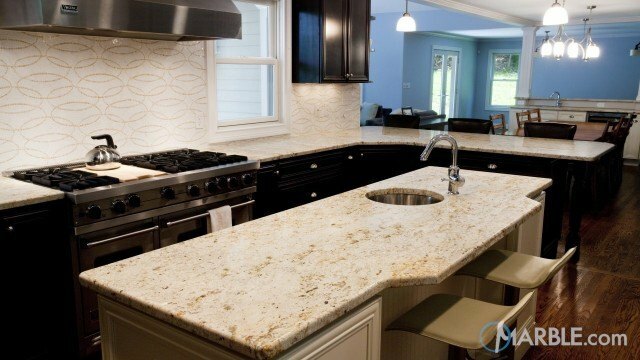 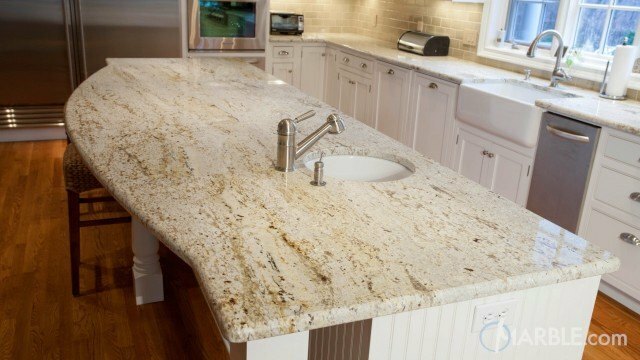 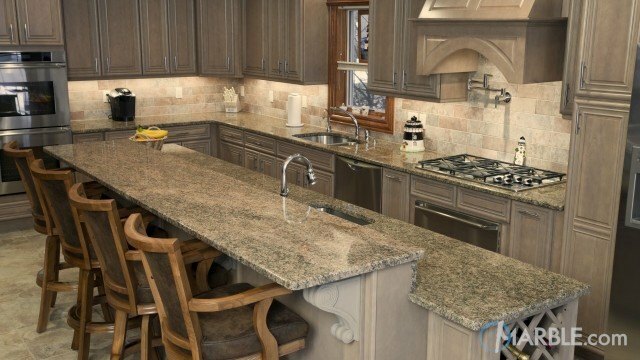 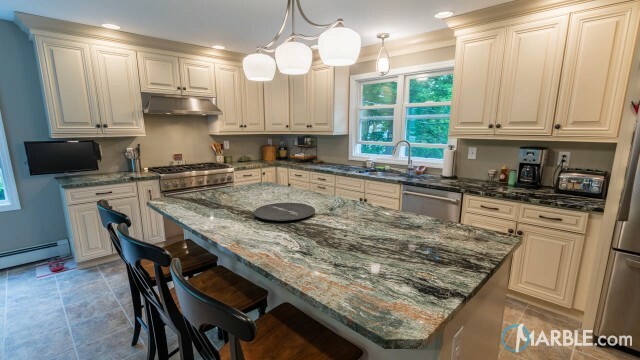 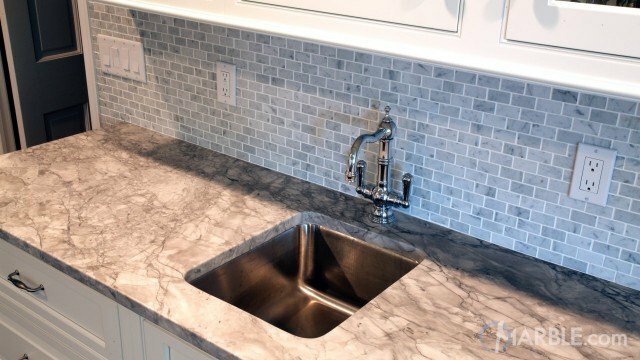 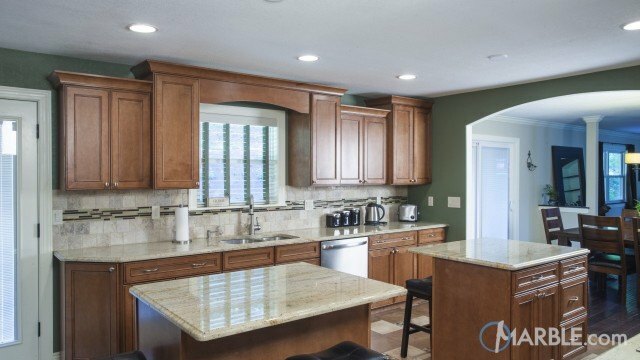 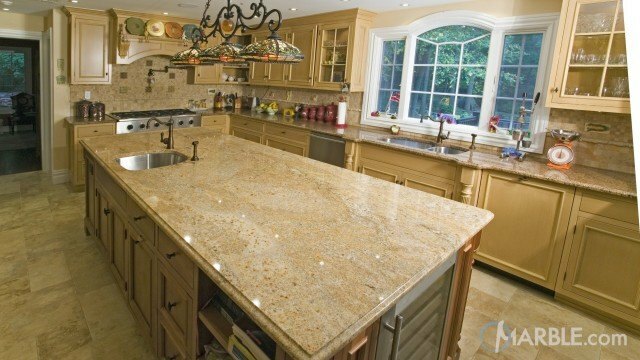 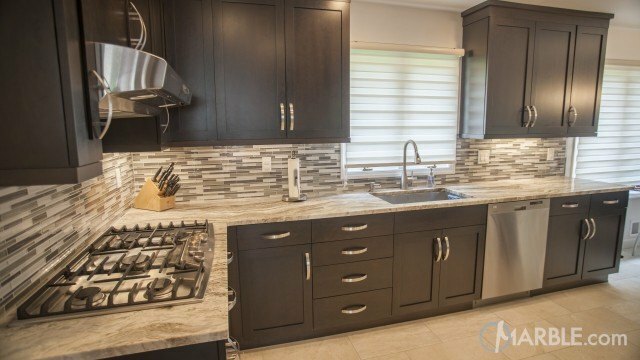 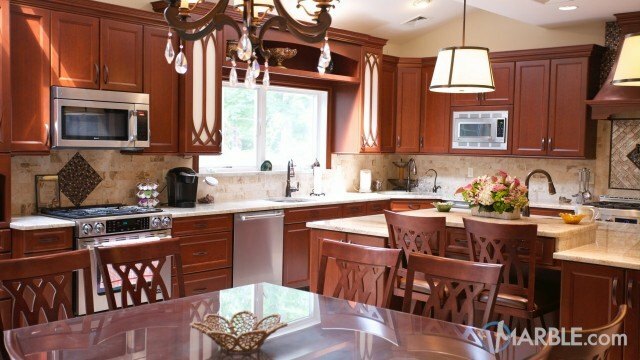 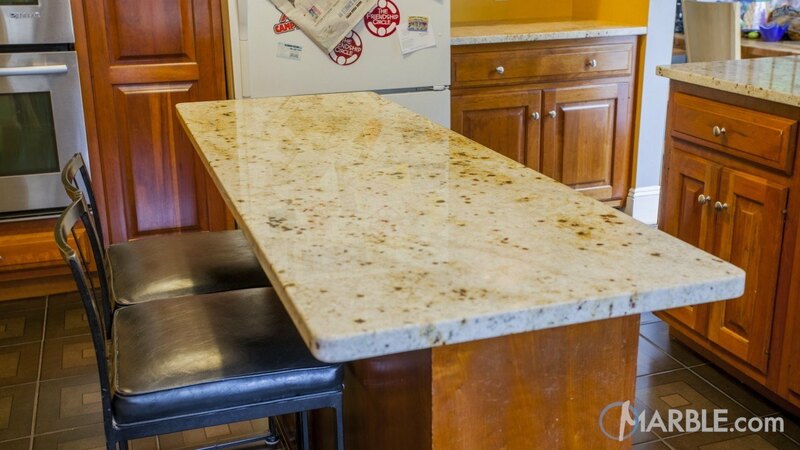 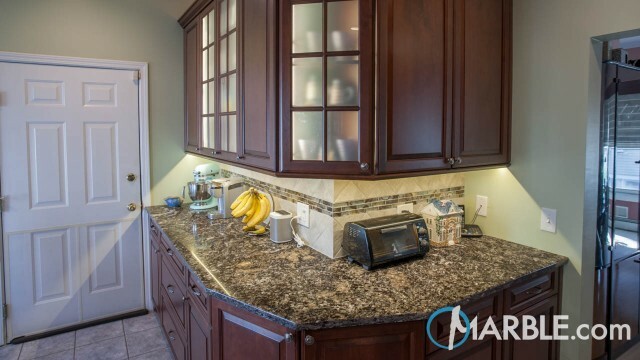 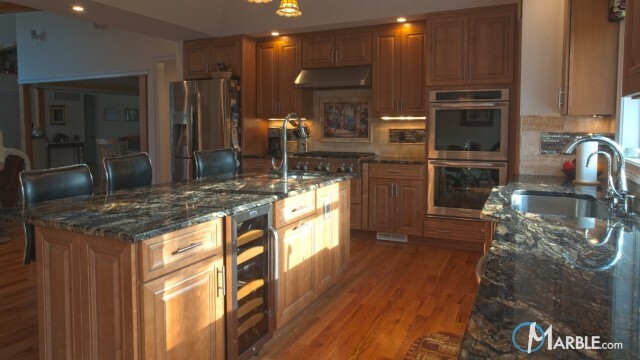 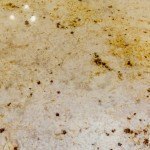 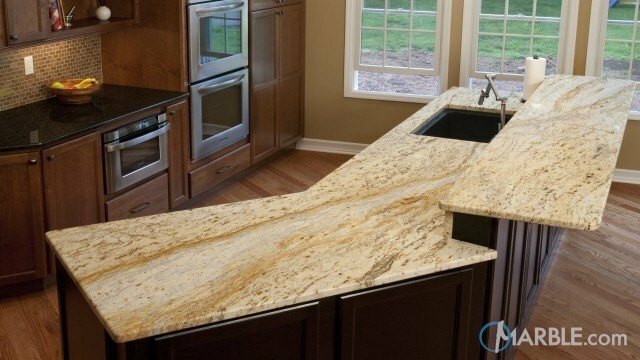 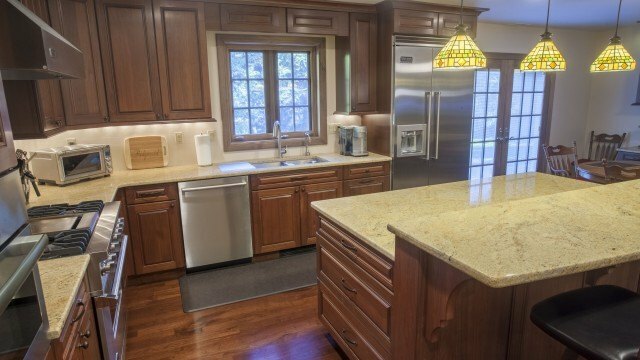 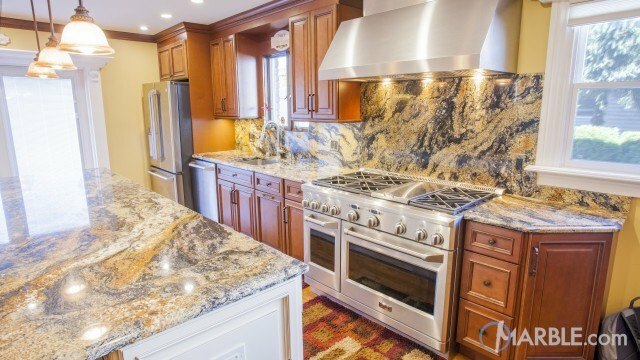 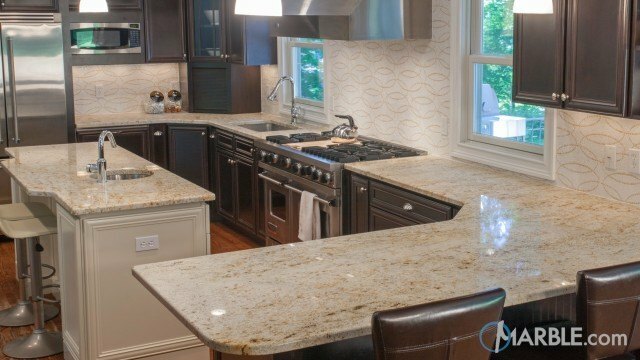 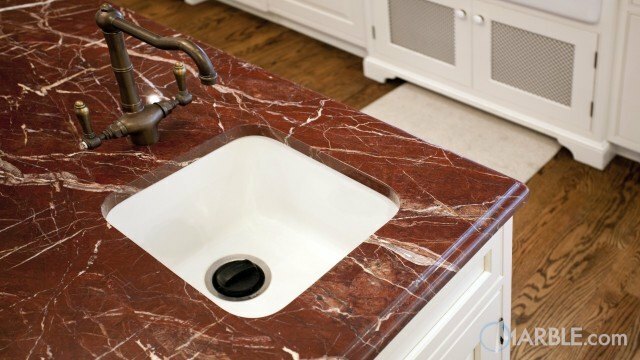 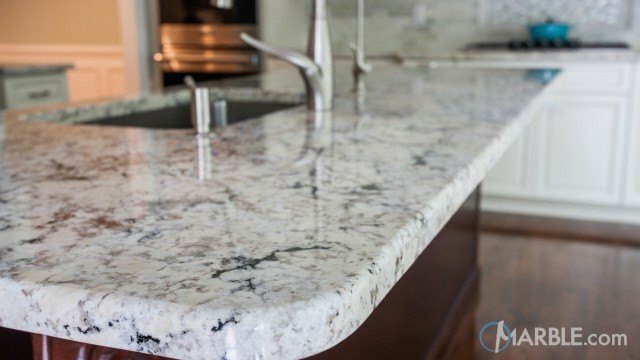 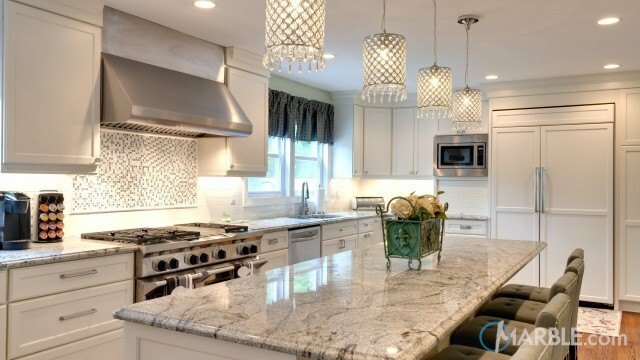 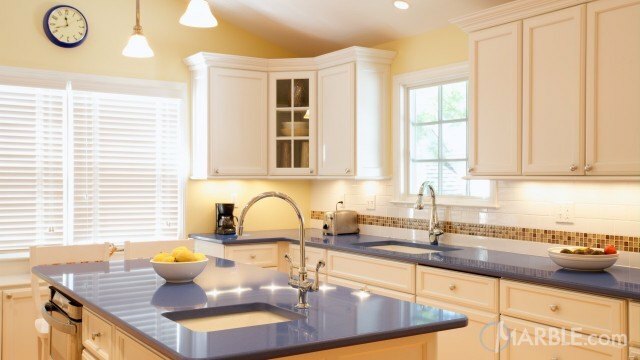 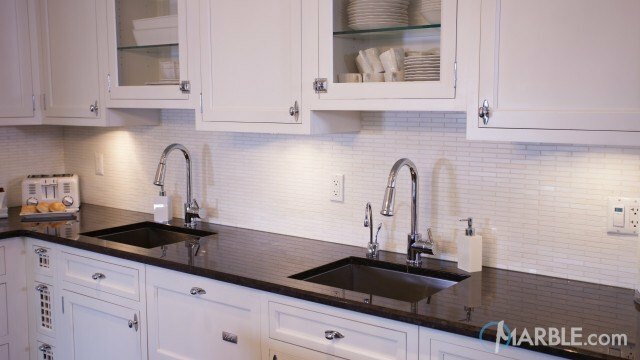 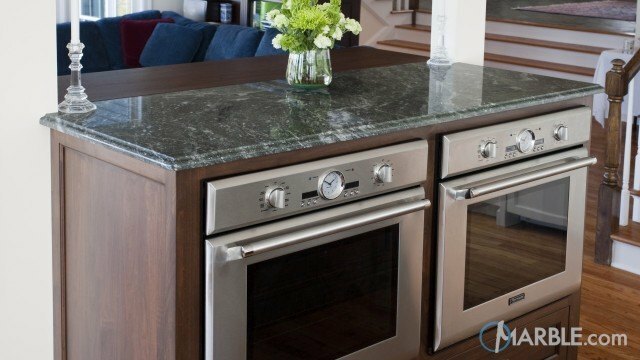 The lighter colored granite and mid tones of the cabinets keep the space feeling light and open.